If you or someone you know suffer from chronic neck or back pain, you may feel like you have run out of options and that you will have to live with your pain for the rest of your life. The truth is that nearly all cases of chronic neck and back pain are treatable and the dream of a pain free life does not have to be just a dream. Choosing to undergo spine surgery under the advice of our Doctors can be a monumental step towards reducing or completely eliminating your neck or back pain. After you have made the decision to go through with the procedure, you may have some questions about financing, insurance, or about the surgery itself. Our team is standing by to answer any of these questions for you over the phone (1-800-349-6922) or in person, and to help make this process as easy as possible, we’ve put together a list of 6 creative ways you can use to help pay for your spine surgery or other procedure. 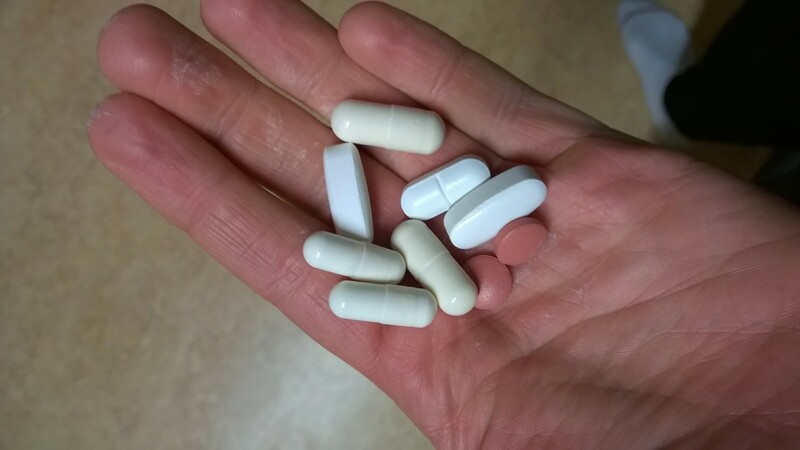 Opioids: Don’t mask neck and back pain; treat it. 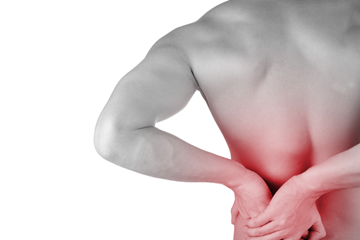 Chronic back and neck pain can be debilitating. A recent study by the National Institute of Health Statistics indicated that low back pain was the most common type of pain experienced by Americans (27%), followed by severe headache or migraine pain (15%), neck pain (15%) and facial ache or pain (4%). 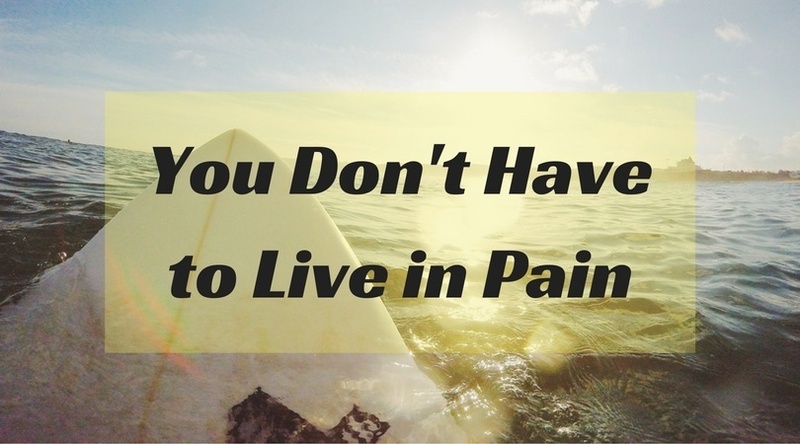 For many, the thought of living a life free of pain no longer exists. They either believe their pain can't be fixed or they are afraid of surgery so they allow the pain to continue untreated. What many people don't realize is that there is a non-surgical solution to chronic neck and back pain. Back pain affects people from all walks of life and does not discriminate based on age, race, gender, religion or political affiliation. According to recent research by the Mayo Clinic, approximately 80% of all Americans will have low back pain at least once in their lives and is the second most common cause of disability worldwide. Back pain is also one of the most common reasons for missed work and the second most common reason for visits to the doctor’s office, behind only upper-respiratory infections. 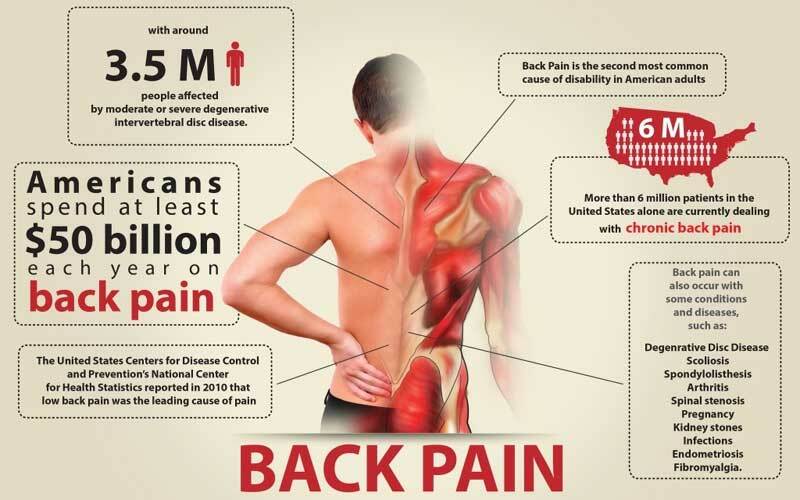 Americans spend at least $50 Billion each year on back pain alone. In order to understand and treat back pain, we must be able to pinpoint the causes. Here are six culprits for most back and neck pain and they are more common than you may think. I Have My MRI Report but What Does It Mean? If you are injured or develop pain in your back, neck or joints, your primary care physician, the ER physician at a hospital, or an urgent care doctor may recommend you have an MRI. About 30,000 MRI scans are performed every year, many of those of the back, neck and joints. At Deuk Spine Institute, we're able to perform MRI scans right here in our facility. 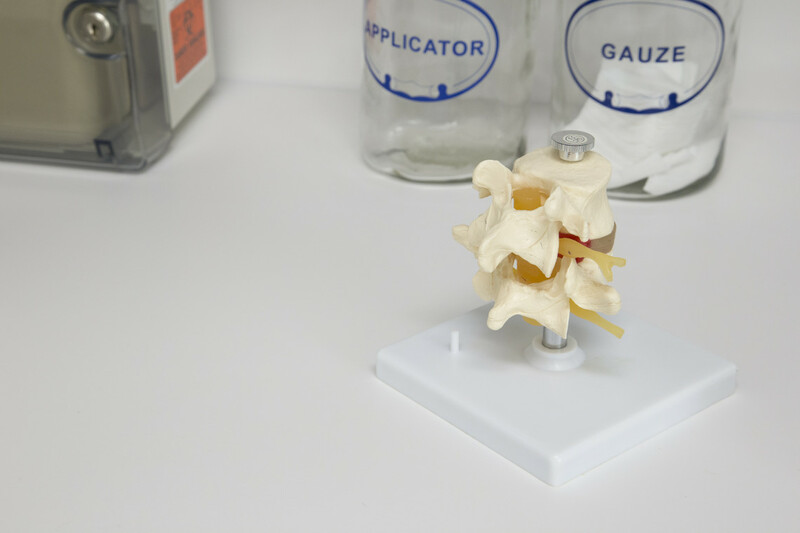 The world of spine care is vast and complex, leading patients down many different paths, each dependent on a mixture of the physician and patient’s preferences. Because of how varied this landscape is, we run into patients who tell us horror stories of past experiences at other spine clinics. Failed Back Surgery Syndrome or FBSS, leaves patients in more pain and depression than before surgery and unfortunately has occured in about twenty percent of the patients we see in clinic. 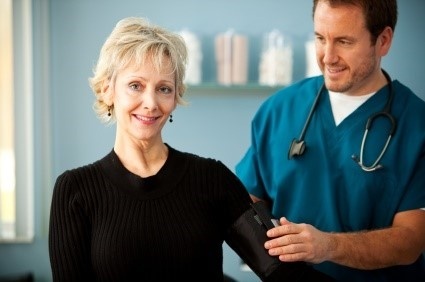 Whether the wrong surgery has been performed, adjacent segment disease has taken place, or the surgeon has failed to address specific issues, patients shoulder a tremendous load mentally, emotionally and physically. We want to ease that load. 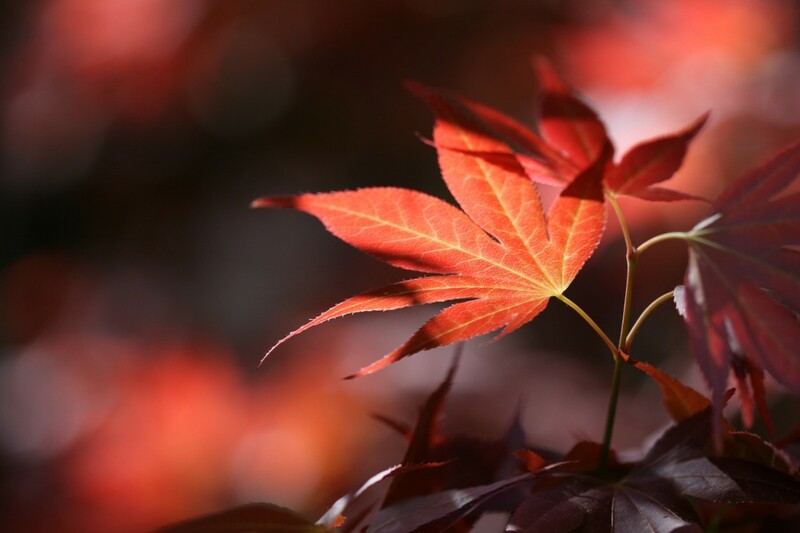 We want to be a patient's beacon of hope that says life can and will get better. The American Chiropractors Association estimates that up to 31 million Americans experience issues with neck and back pain each year. Between over-the-counter measures and even the best insurances offering only short-term treatments, sufferers of neck and back pain often go years before reaching a breaking point and seeking new solutions. We talked to Don, a resident of Orlando, Florida, about his experiences with neck and back pain. 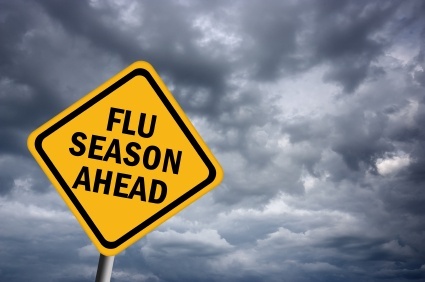 As we welcome our new primary care physician, Trevan Rankin, to Deuk Spine and Viera Health and Wellness we are releasing this small guide to help you stay healthy this flu season. "Sit up straight" something we have all heard at least once in our life, but how important could this little piece of advice really be? Very. The positioning of your spine is an extremely influential factor when it comes to the health of your neck and back. Poor posture can create abnormal spine alignment and result in years of problems. 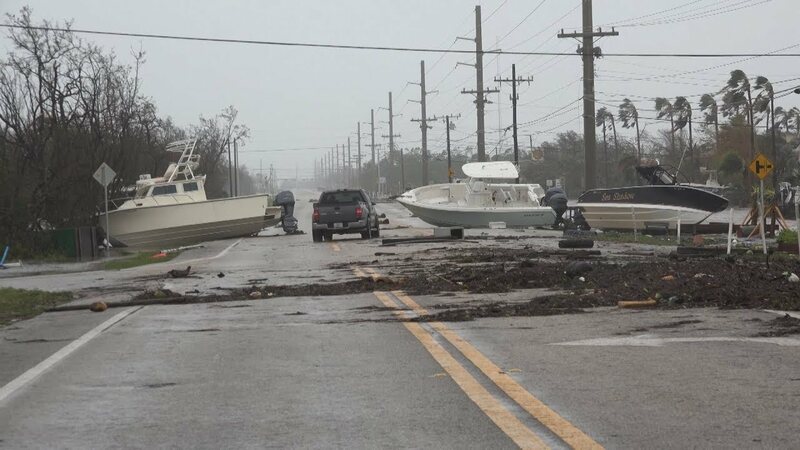 Irma was a disastrous hurricane and many people have been left without internet, power, and maybe even their homes. We know that this is a very difficult time as everyone recovers from Irma's devastation and want to make sure that all our patients are safe and getting the treatment they need. That's why we are now open again following the hurricane and are ready to treat what afflicts you. 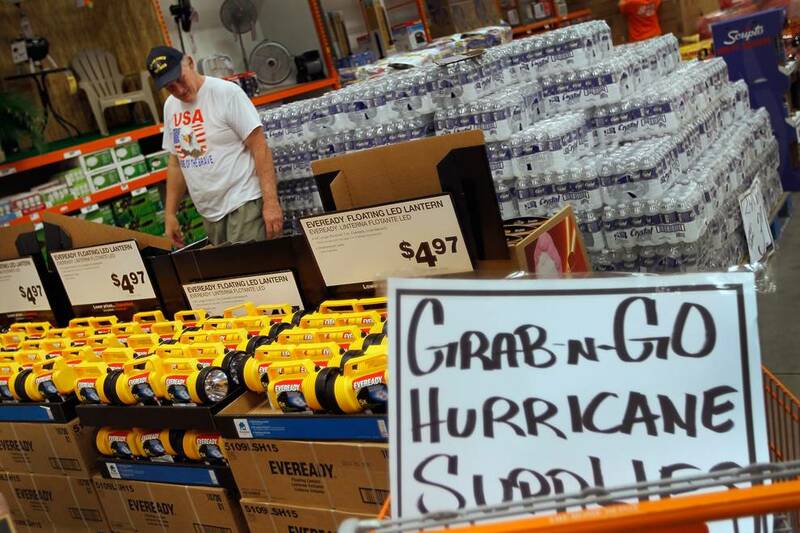 Here at Deuk Spine Institute we want to make sure our patients stay safe during the upcoming Hurricane Irma, so we put together this list on how to prepare and some suggestions on what to do for the upcoming hurricane. Surgery, the one word that either scares people away, or is what they believe they need to cure their debilitating back or neck pain. Surgery is not always the answer and should be considered a last resort. 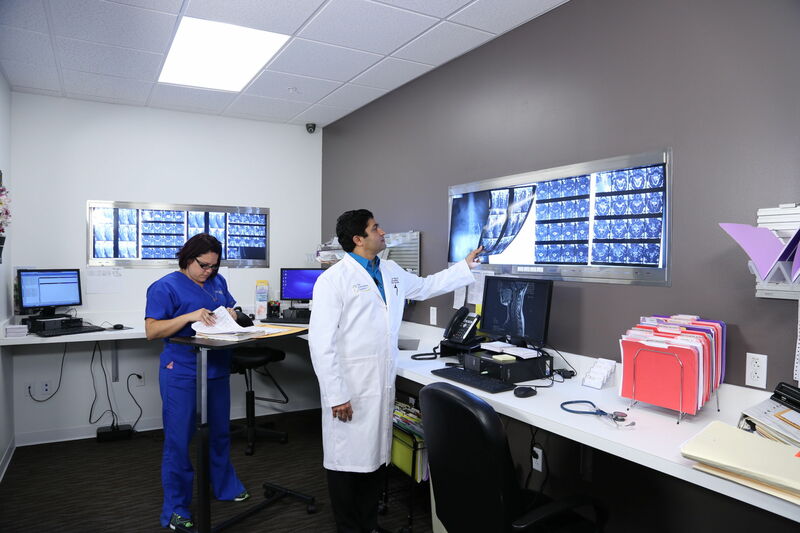 At Deuk Spine Institute our goal is to get a patient out of pain, not force them to undergo expensive surgical procedures that may not be right for them. We believe that every patient deserves freedom from pain as soon as possible by offering patients the treatment that is best for their condition. 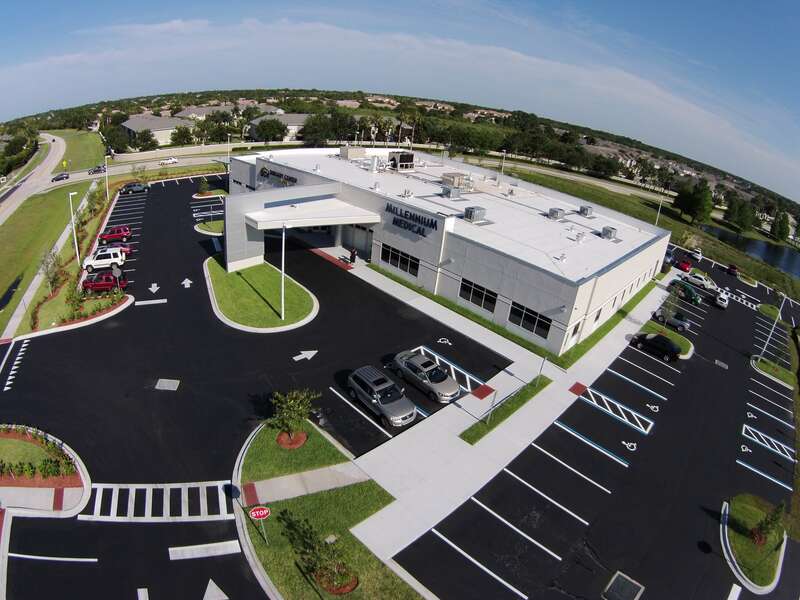 The team at Surgery Center of Viera is pleased to announce that we have recently been re-accredited for 3 years by the Accreditation Association for Ambulatory Health Care (AAAHC). 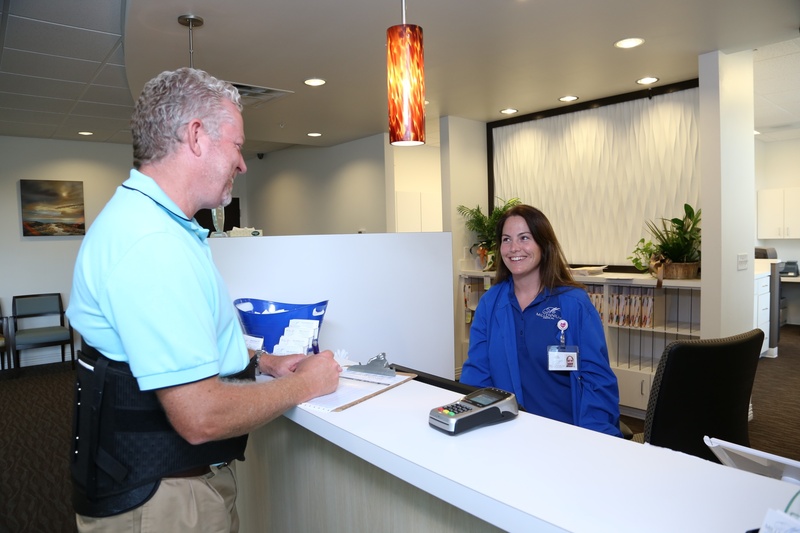 Acquiring accreditation shows our commitment to providing the highest levels of quality in our business practices and is a true testament to the quality care that we deliver to our Deuk Spine Institute and Surgery Center of Viera patients. Achieving accreditation by AAAHC verifies that we have not only met, but exceeded the rigorous standards of a nationally-recognized organization that has been surveying, critiquing and accrediting ambulatory surgery centers since 1979. 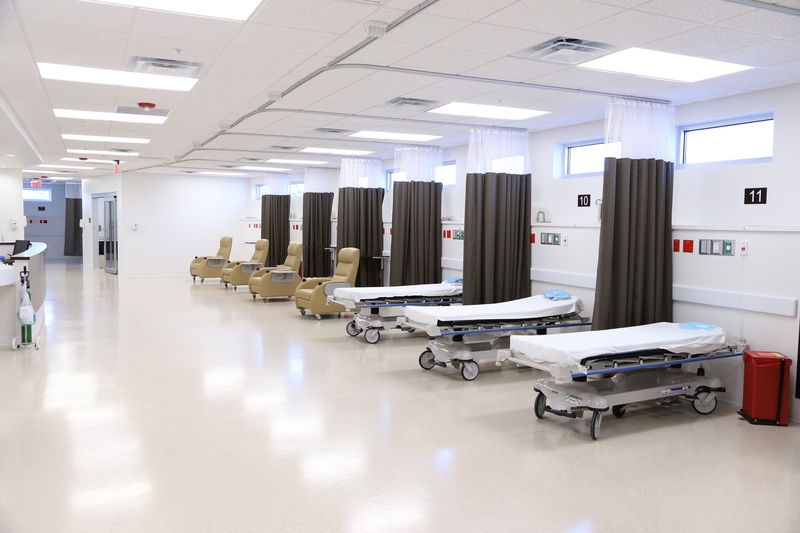 Accreditation distinguishes this surgery center from many other outpatient facilities by providing the highest quality of care to its patients as determined by an independent, external process of evaluation. What do the Words on an MRI Mean? 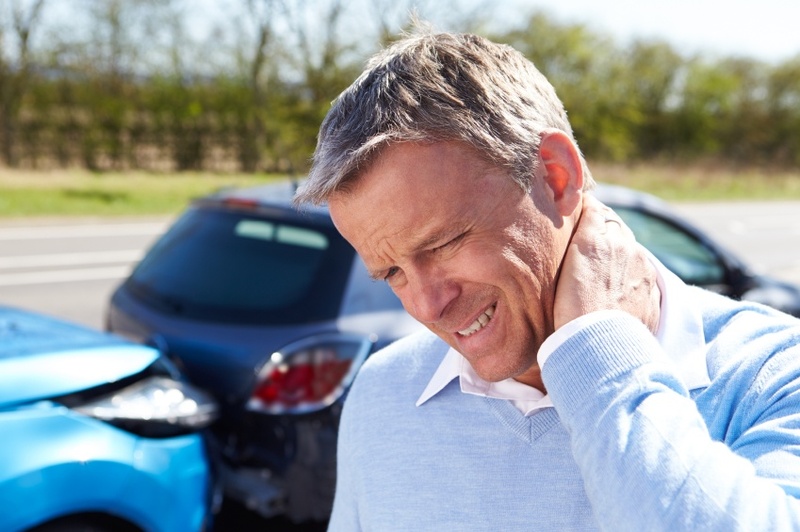 Whether its at a stop sign, the middle of an intersection, or just in the parking lot, vehicular accidents can always lead to horrific neck and back pain. Pain that will limit your life and lead to suffering. Luckily for everyone there is a solution. Through treatment from our Board Certified Medical Doctors, pain can be a thing of the past. Did You Know Your Headaches and Other Pain Can be Coming from Your Spine? While there are many different causes of chronic migraines such as inflammation, blood flow issues, infections like meningitis, or intercrainial pressure, one cause most overlooked is a herniated disc. A herniated disc or bulging disc occurs when disc degeneration or injury allows the disc to expand outside its normal bounds, causing it to come in contact with nerves running along the spine. 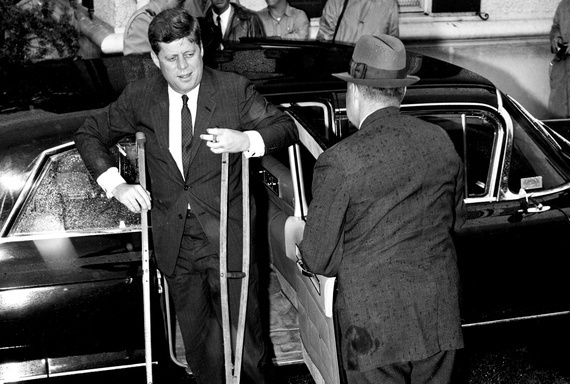 John Fitzgerald Kennedy, the thirty fifth president of the United States, was one of the most famous, yet one of the most unknown sufferers of chronic back pain. According to the Chronic Pain and Fatigue Research Center, chronic lower back pain had an impact on the life and especially the death of the 35th president. Back and neck pain are the most common sources of chronic pain in the world, yet people choose to live with this pain instead of taking care of it. Some don't want to spend the time getting it looked at while others just chalk it up to old age. No matter what you believe the cause of your chronic back or neck pain is, you should always seek a pain free life and never settle for less. It creaks in the night. It stops you dead in your tracks. You can't leave home because it is out there, waiting for you. It will take you in the night when you make your next strenuous move. Your fear of recurring back or neck pain has left you a recluse, shut away, unable to interact with society. Is There an Age Limit on Spine Surgery? 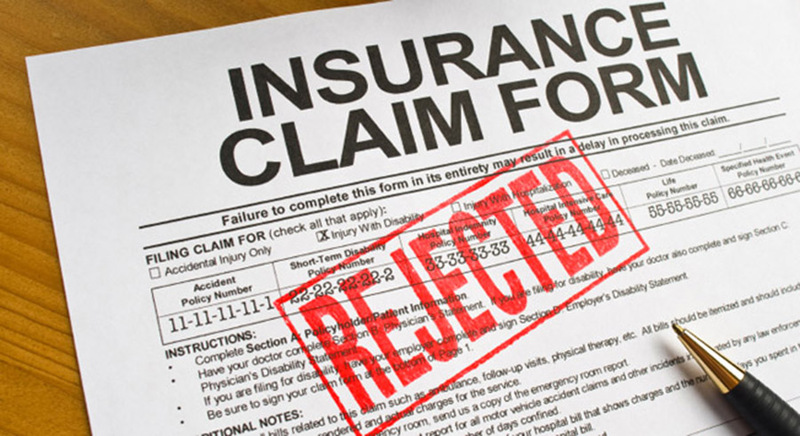 Should Insurance Companies be Choosing Your Treatment? Recently the Florida Medical Association (FMA) president, Ralph Nobo, M.D. addressed one of the biggest issues facing physicians today, Insurance companies. 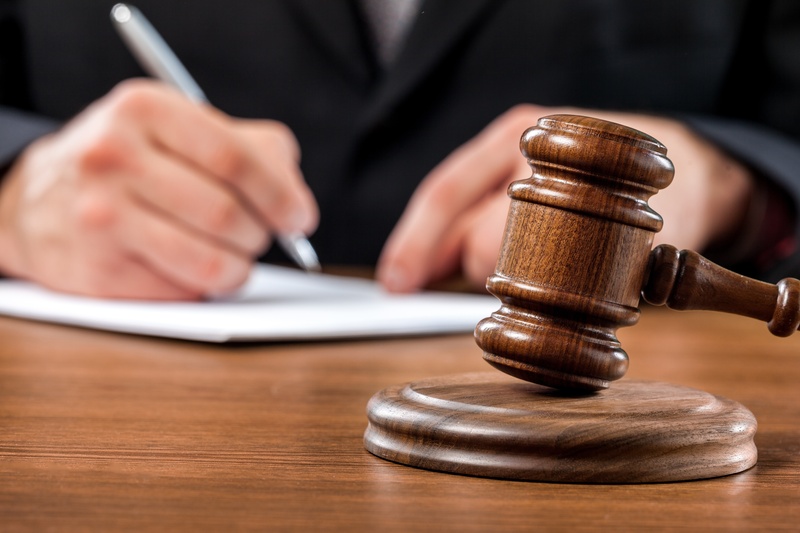 Physicians are constantly asking themselves if a patient’s insurance company will let the patient have the care that is best for them and ultimately pursue the course of action laid out by the physician. 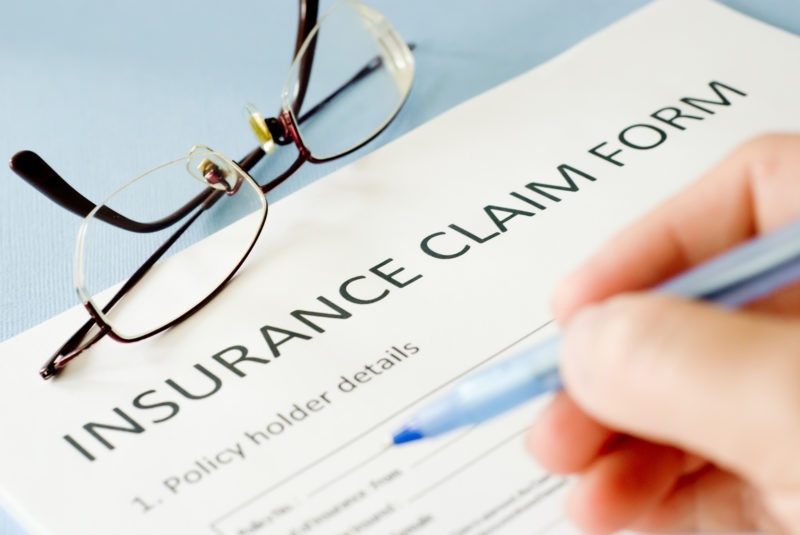 Insurance companies are focused more on reducing their own costs than providing care. As a result, they are creating hoops patients have to jump through to receive the quality care they deserve. Back and neck pain constitute some of the most common reasons for disability, missed work, and downright miserable days and nights for millions of Americans. Fortunately, the medical industry has made great strides in treating many of the problems associated with a bad back or a literal pain in the neck. 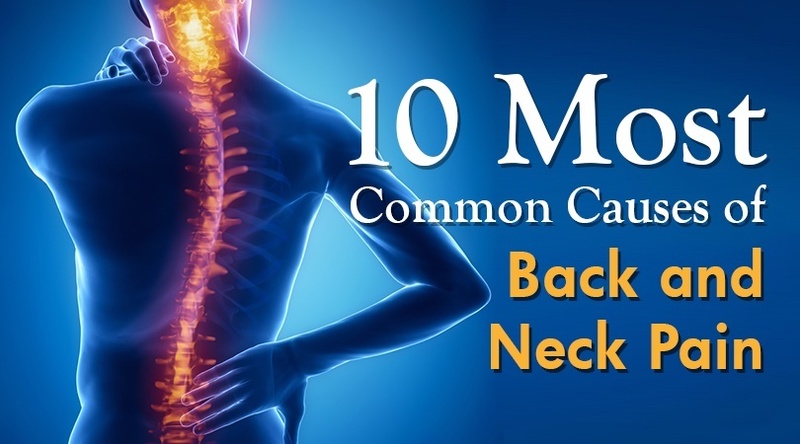 Consider the following list of the ten most common causes of back and neck pain to gain a better understanding of how these things can happen to anyone, anytime, and potentially avoid them whenever possible. A little nick or two here and there when you’re shaving in the morning is fine. You might apply a styptic pencil if the cut just won’t stop bleeding, but in most cases, you’re going to just slap on the aftershave, shrug it off, and go to work. Not all nicks that the human body can endure are the same, however. For instance, if that tiny nick occurs to the membrane surrounding the spinal cord during back surgery, no styptic pencil or aftershave in the world is going to help. 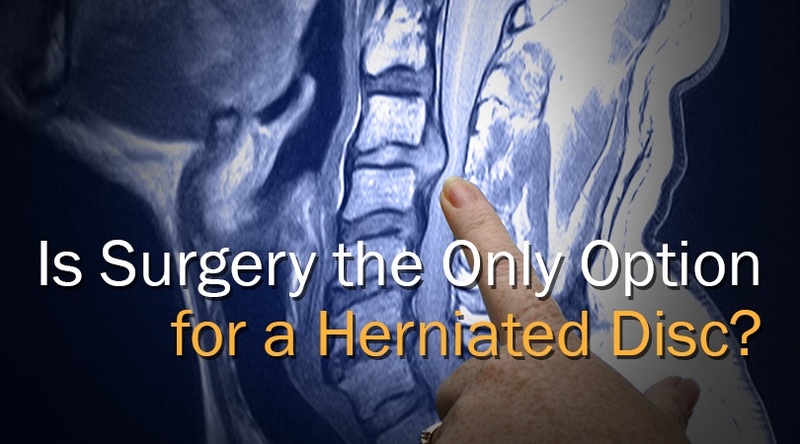 Is Surgery the Only Option for a Herniated Disc? 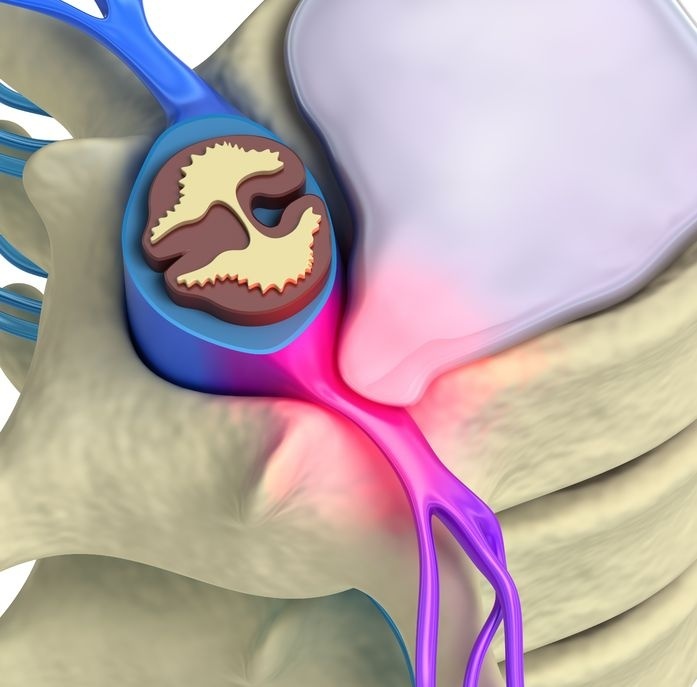 A herniated disc can result from injury or age-related degeneration. 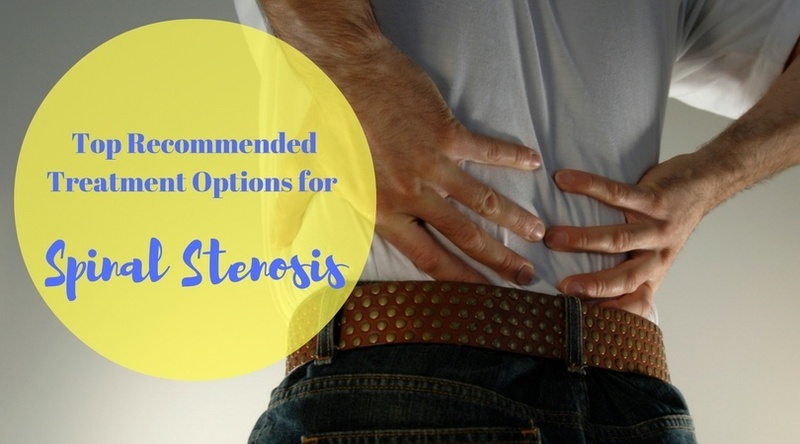 Conservative options should always be considered before jumping right into the surgical procedure, especially when it comes to something like a herniated disc. 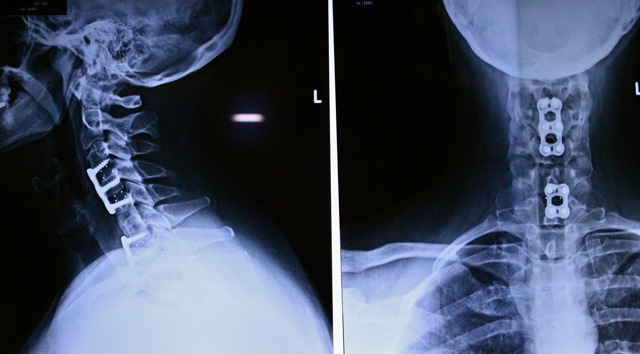 What Causes Bone Spurs of the Back and Neck? There’s a common misconception in the public eye about bone spurs of the back and neck. Quite often they’re wrongly blamed for a dull and consistent pain that radiates into the shoulders and potentially, all the way down the lower spine into the thigh area. In reality, bone spurs should usually be considered the symptom more than the actual cause of the pain. Pain from a herniated disc, often called a ruptured disc, can range from mild and nagging, all the way to severe and debilitating. This condition occurs when one of the discs between the vertebrae in your back moves slightly out of alignment and begins rubbing on one of the surrounding nerves. What happens next is the body’s injury alert system takes over—the nerves send a message to the brain that something is wrong. In other words, pain occurs. Consider following the recommendations below. They can happen while playing a pickup game of basketball, while driving your car to visit friends, or on the job—they’re performance limiting neck and back injuries. 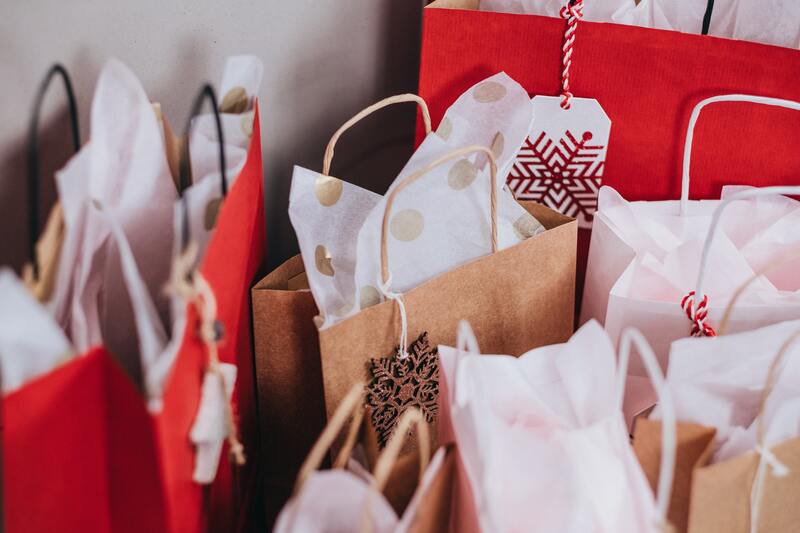 What happens when one of these seemingly innocuous activities leads to a severely pulled muscle or a literal pain in the neck, and they cause you to miss work? When lower back pain stops you from living life the way you want, it’s time to seek expert medical care. 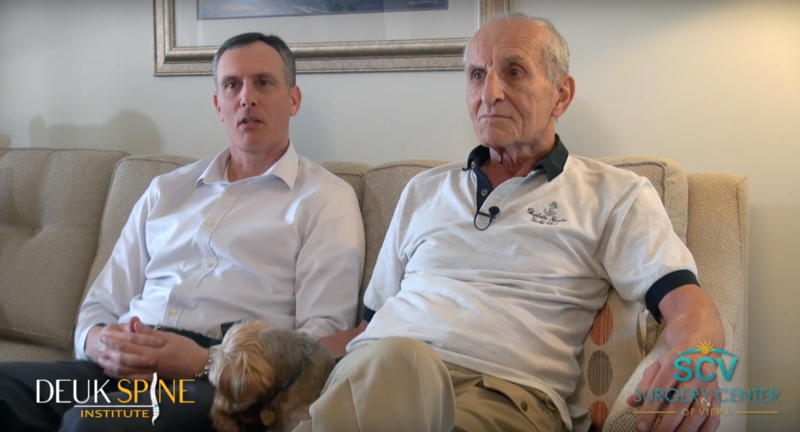 Take a look at how Dr. Deuk at Deuk Spine Institute helped Jack Spadaro, an 80-year-young gentleman in Florida get back to his active lifestyle with a simple procedure and no post-operative pain medication. With a little help from Dr. Deuk, people much younger than Jack are amazed at everything he is able to do. It’s a tough job, but somebody’s got to do it. Even though you risk physical injury and increasing levels of pain to your body every morning that you leave for work, your dedication to your craft remains proudly steadfast. 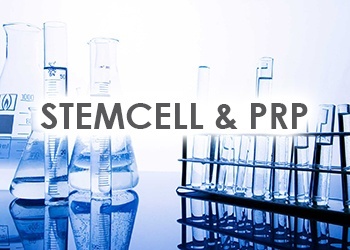 Recent developments in regenerative medicine are offering a great deal of promise for people looking for an alternative to more traditional procedures related to everything from heart disease and neurological conditions to the restoration of damaged muscles, tendons, and tissues commonly associated with lower back and joint ailments. 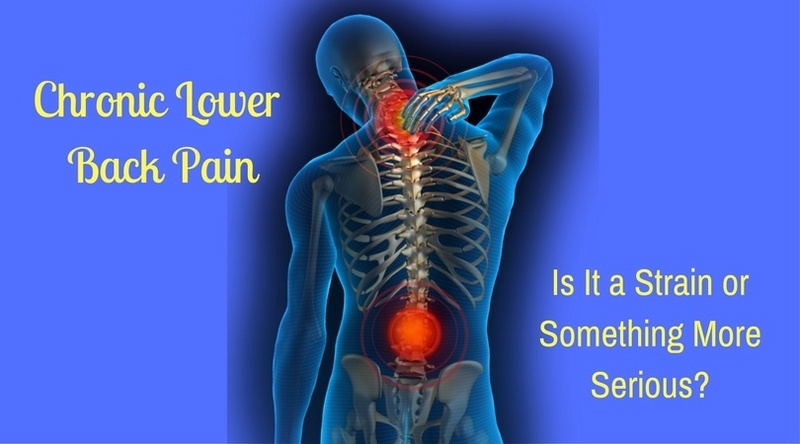 Chronic Lower Back Pain: Is it a Strain or Something More Serious? Common causes of lower back pain include improper lifting, poor posture, and perhaps the biggest culprit … old age. Any one of these can result in an injury to a lower back muscle, resulting in what’s commonly referred to as a strain. 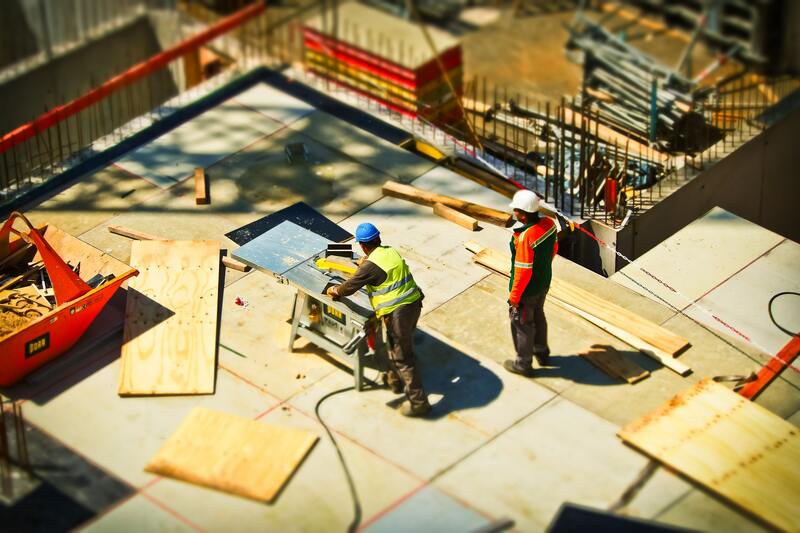 Such a minor injury is likely to go away within a relatively short period of time—usually a few days. 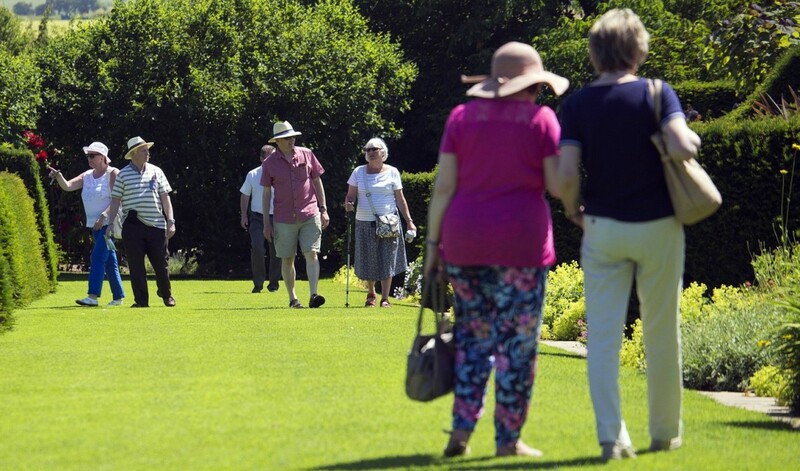 “It’s no fun getting old.” How often do we hear someone in their 50s utter those words of despair as they instinctively reach for their lower back in a momentary grimace of agony? Unfortunately, it’s an all too familiar occurrence because as we age the spine can become more and more cantankerous to deal with. Tennis anyone? How about golf, racquetball, or even bowling if the weather’s bad? 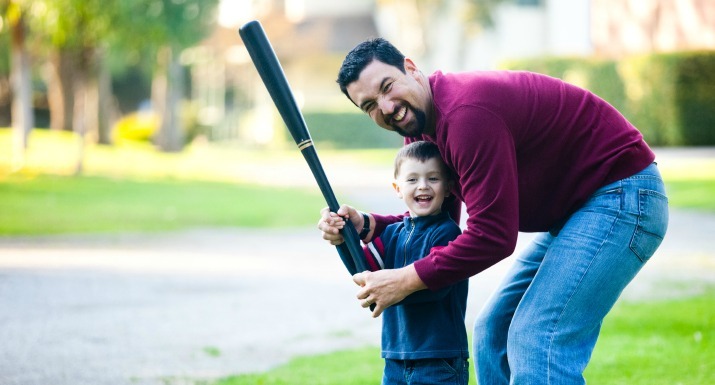 As we age, most of us make the gradual transition into one of these activities from more rigorous ones like football, basketball, or hockey because they take less of a physical toll on the body, while still providing some of the many health benefits associated with recreational activity. 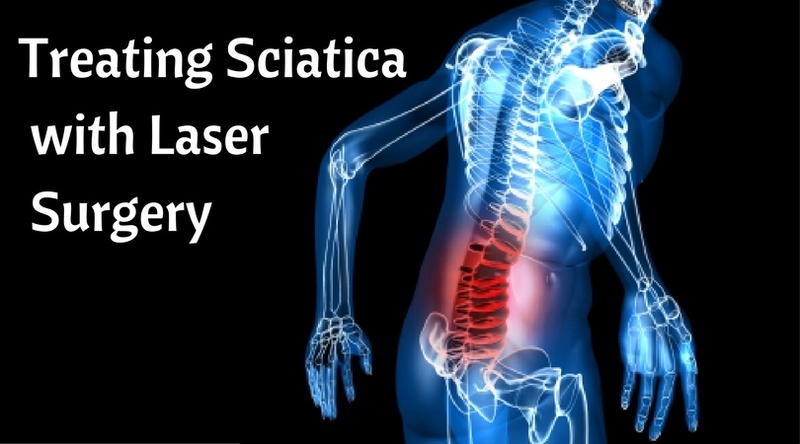 How is Sciatica Treated with Laser Surgery? Sciatica is a painful condition that can develop gradually or just suddenly appear. Often, it can be best described as an excruciating, shooting pain from your lower back, through your buttock, and down your leg. Sometimes you might also feel an uncomfortable numbness, tingling or burning sensation down your leg that may extend into your toes. The pain from sciatica makes it almost impossible to sit or stand comfortably. Can the Right Pillow Reduce Neck Pain? 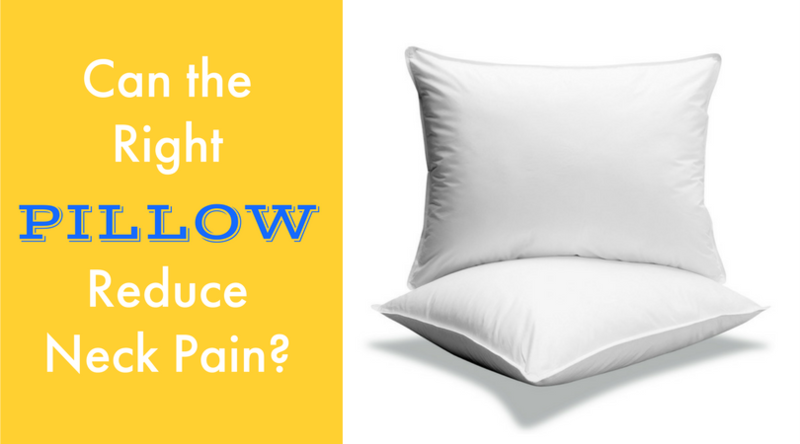 According to the Harvard Medical School, the answer to this question is yes; the right pillow can reduce neck pain. While you might not be able to control other factors, such as age-related wear and tear, sleeping with the right pillow can help reduce your neck pain. All surgeries carry a certain amount of risk of complications, especially for older adults. 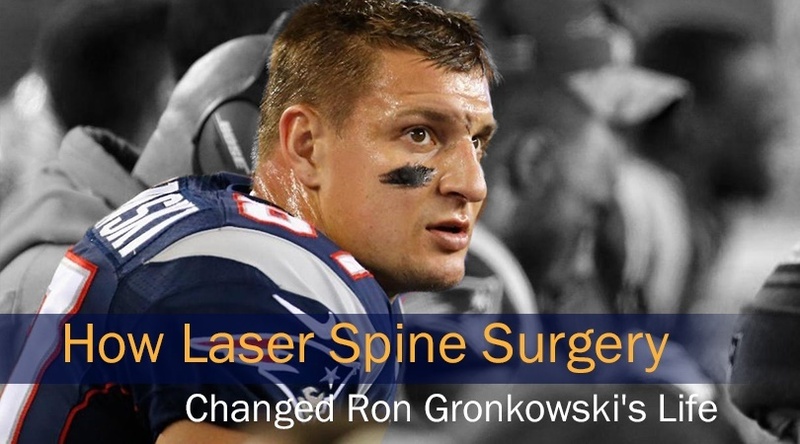 The risks related to laser spine surgery are often less than those associated with traditional open back surgery. 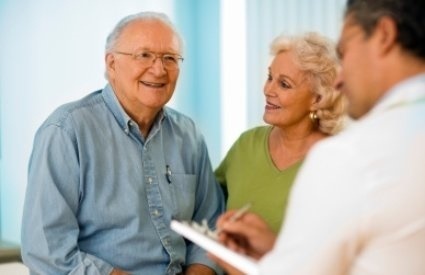 Because laser surgery is minimally invasive and doesn’t use strong anesthesia, it is suitable for all age groups, especially older adults who are not candidates for open back surgery. According to the Centers for Disease Control and Prevention, more than one-third of adults in the United States suffer from obesity. 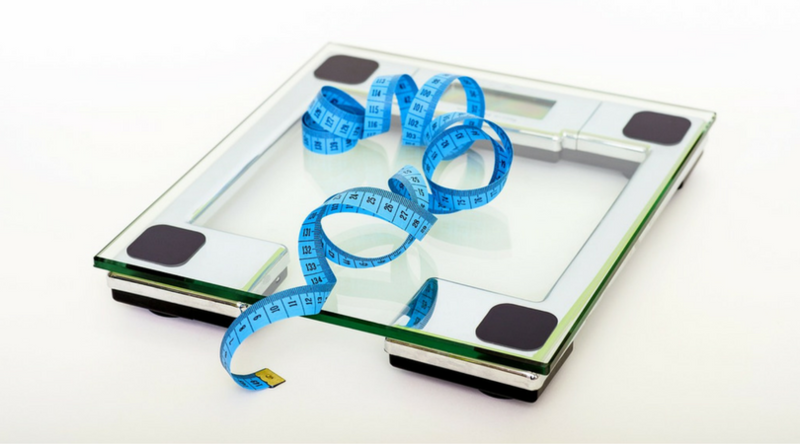 Being overweight puts you at a greater risk for many health issues including back pain. If you have back problems and are overweight or obese, your doctor will usually recommend reducing your weight as part of your individualized treatment plan. It’s a new year and a new beginning! Have you thought about the resolutions you will be making for the coming year? If you suffer from back pain, you may want to consider the following five resolutions that could help end that pain and improve your quality of life. If your back hurts when you sit, you're not alone. 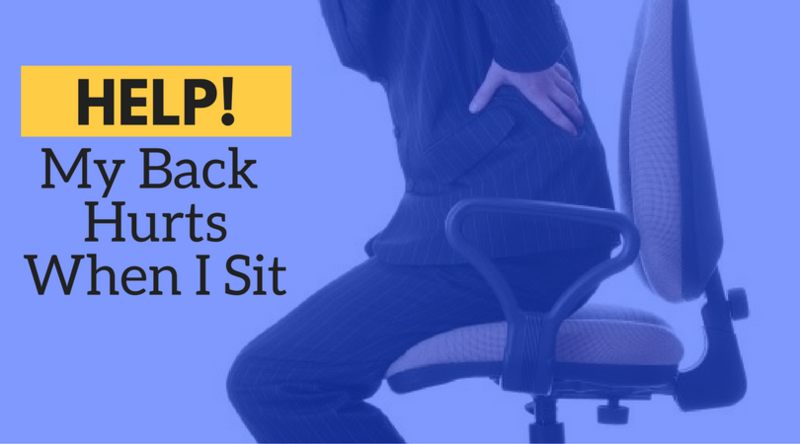 Many people experience lower back pain from sitting at a desk all day or from driving for long periods. While you might feel like your body is resting because you are not on your feet, your spine would beg to differ. While you sit, almost every muscle in your body relaxes but the ones that stop you from falling forward or to the side. 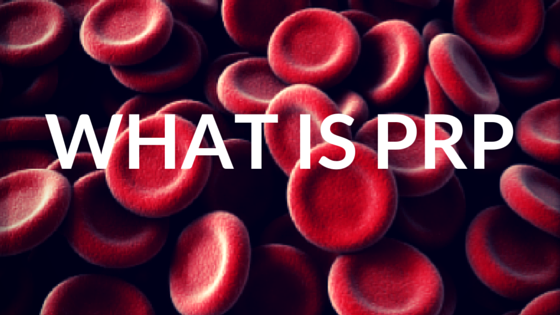 The result is that extra pressure is placed on your lumbar discs. Acute vs. 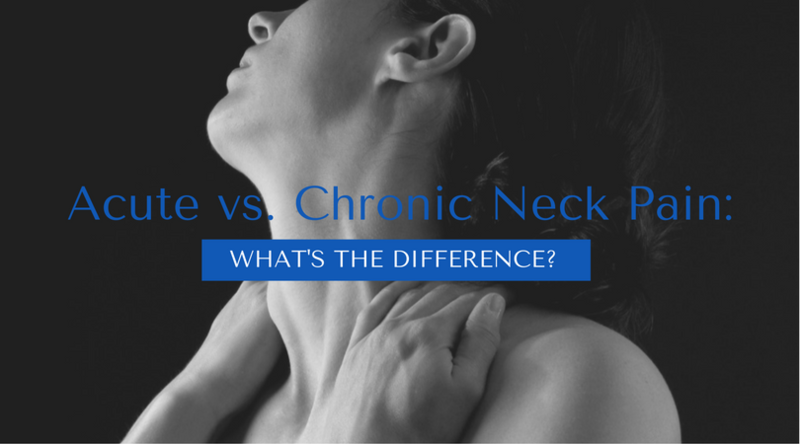 Chronic Neck Pain: What's the Difference? You know the sudden pain when you burn your finger on a hot pot, hit your thumb with a hammer or even suffer a paper cut? The pain that you immediately feel when you injure yourself is normal, expected and important. Acute pain is sudden and can be considered as your body’s way of alerting you that something is wrong. It makes you stop for a moment, realize what you are doing and prevents you from continuing with the action that caused you pain. However, when you experience pain on a continual basis, such as chronic pain in your neck, this is not normal. 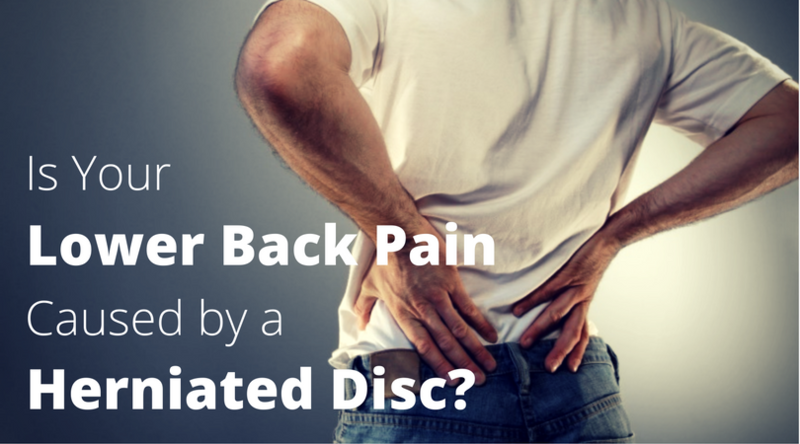 Is Your Lower Back Pain Caused by a Herniated Disc? 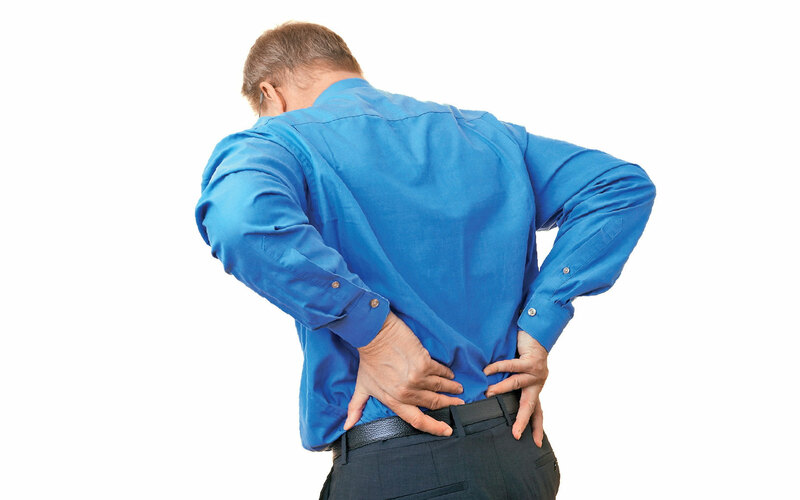 Up to 80 percent of people will suffer from pain in their lower back at one time during their adult lives. It is not uncommon for lower back pain to be caused by a herniated disc in the lumbar area. Also referred to as a “slipped disc,” this condition can cause the leg pain that is associated with sciatica. 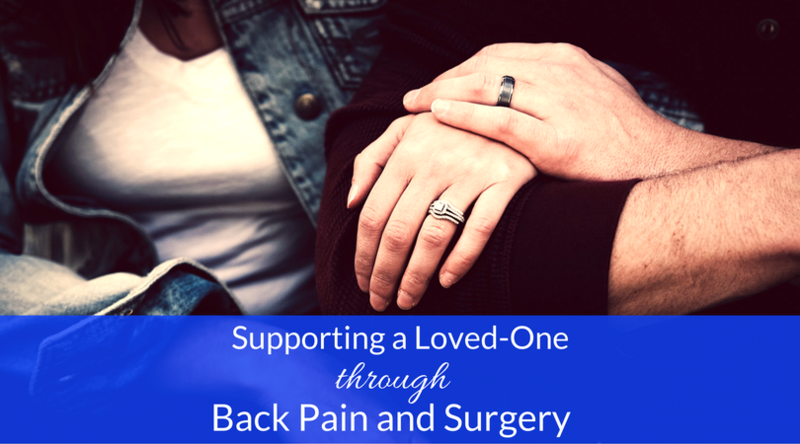 It is difficult to see a spouse or family member struggling with back pain and the fears they may have about undergoing spinal surgery. 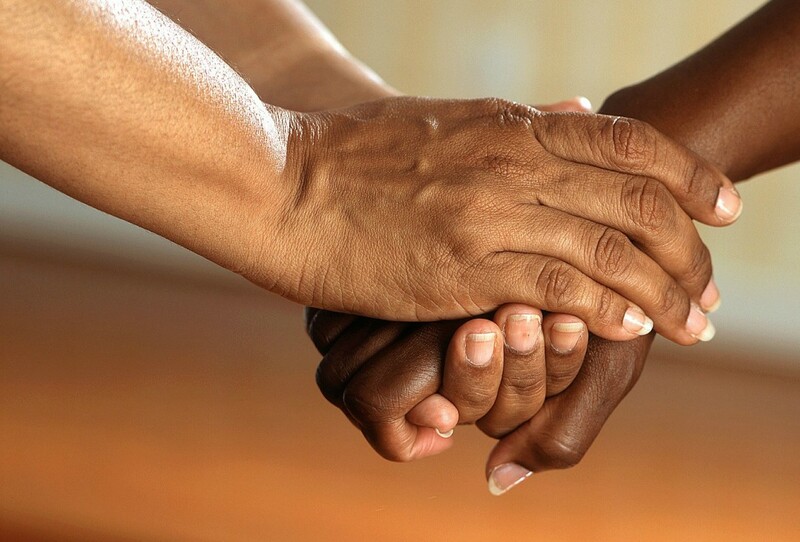 As that person’s primary caregiver and source of support, you might feel overwhelmed at times assisting your loved one with various tasks or having to take on additional responsibilities. 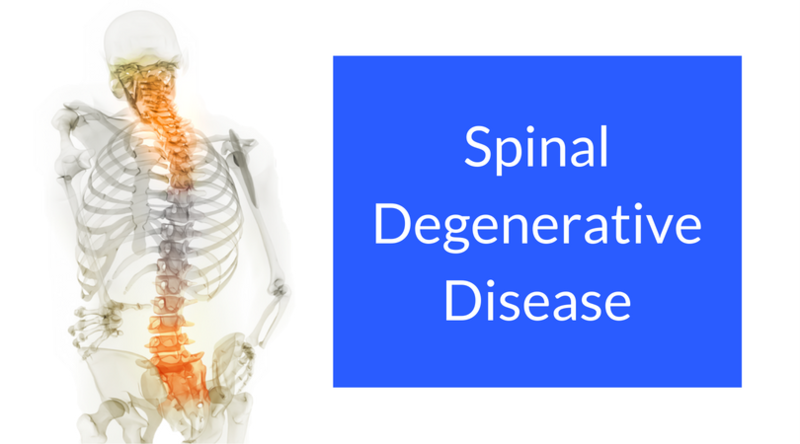 What is Spinal Degenerative Disease and How is it Treated? 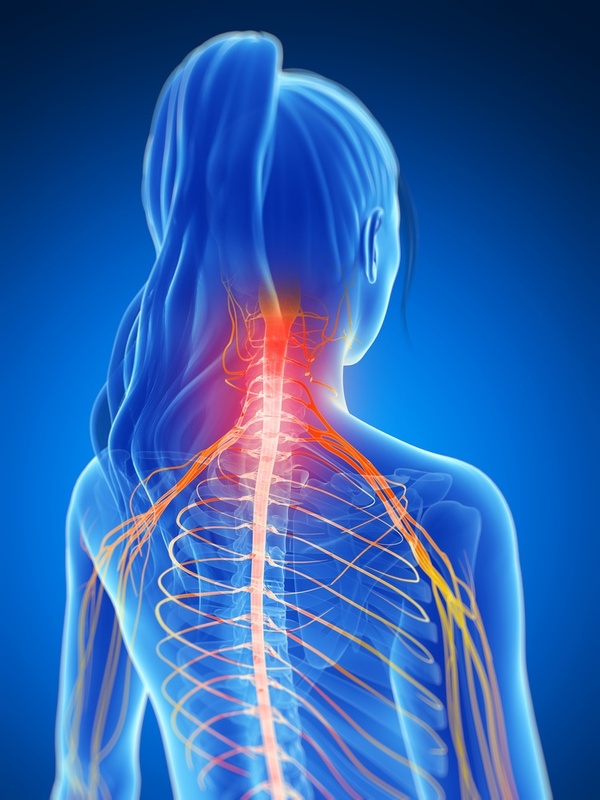 If you’ve been told that the back or neck pain that you are experiencing is from spinal degenerative disease, you might be initially confused because the term can refer to one of several conditions that affect the spine. 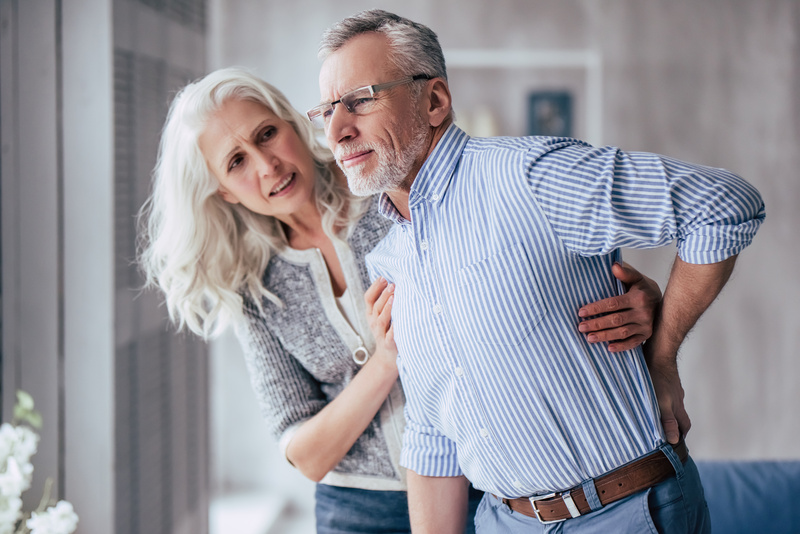 The conditions that fall under the category of spinal degenerative disease may be caused by normal wear and tear that is associated with aging. However, some patients might experience premature wear and tear because of activities that have put more strain on their backs or necks. First, there was joint FUSION. Now, finally, arthroscopic surgery has replaced the vast majority of joint fusions and artificial joints. Today, arthroscopic surgery is the most common and least invasive treatment for painful knee, shoulder and hip joints. When you have lower back pain, you might feel that the best thing you can do to reduce your pain is to rest. However, that will not put you on the best road to recovery. It is in your best interest to keep moving. 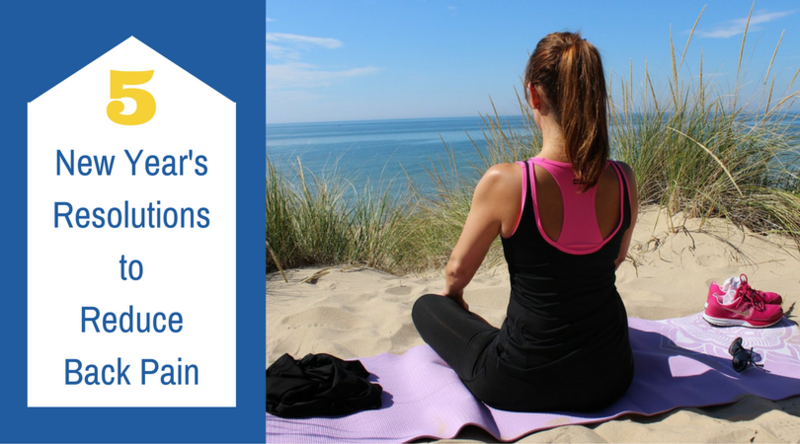 It might seem counterintuitive to exercise, but it is one of the best things you can do to relieve your pain. By focusing on strengthening your core muscles, your lower back will benefit from added support, which will reduce your lower back pain. 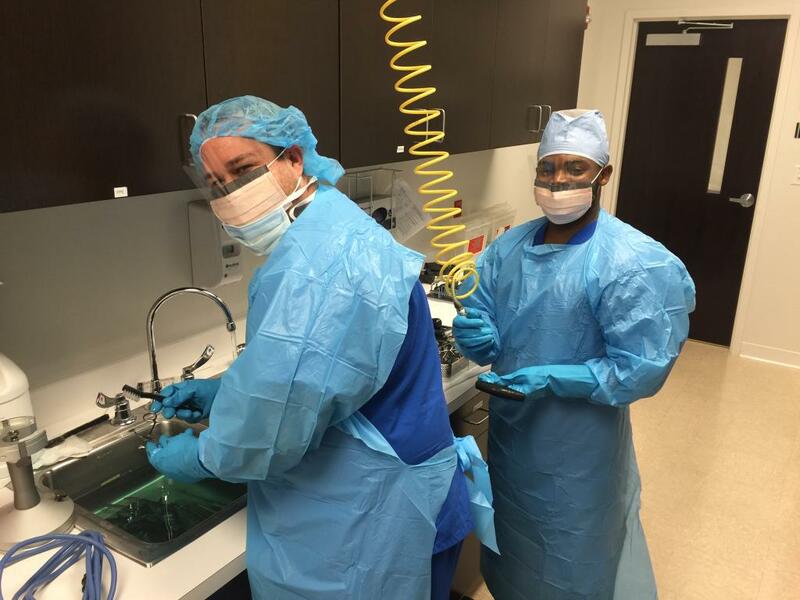 What is Endoscopic Laser Spine Surgery? 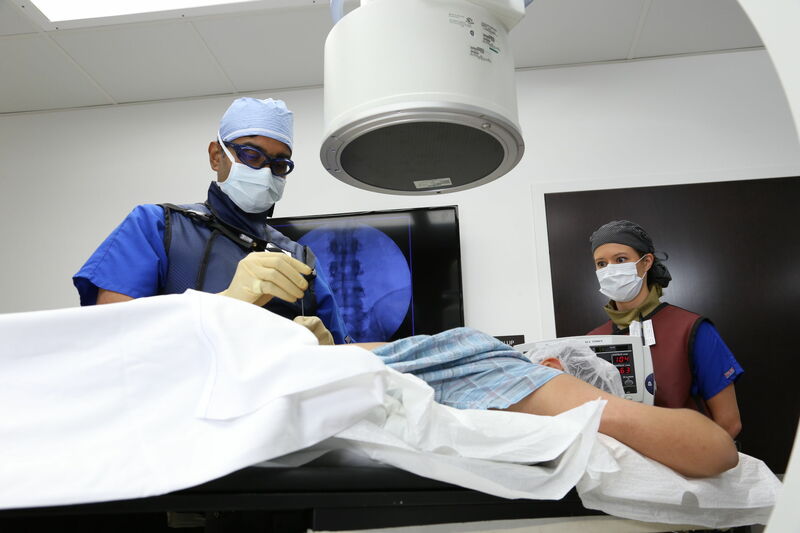 Endoscopic laser spine surgery is a minimally invasive procedure to treat injuries and disorders of the spine. 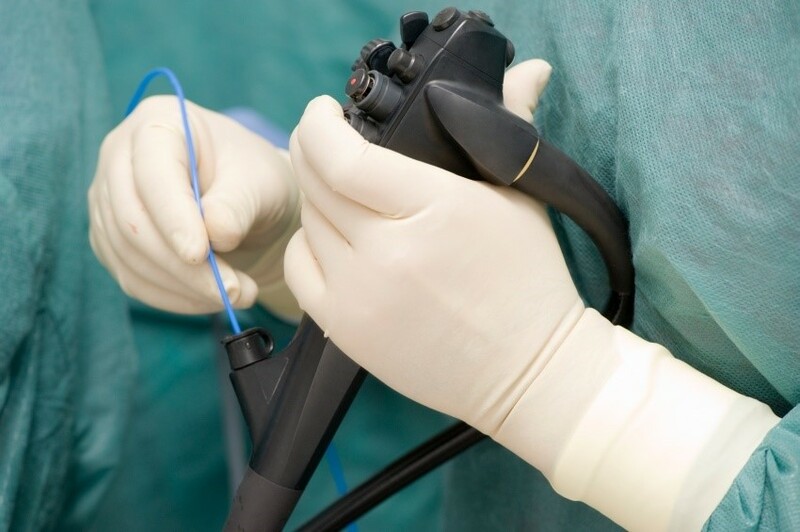 Using an endoscope that is inserted through a small incision, a surgeon is able to view the affected area of the spine on a television screen within the operating room. Additional small incisions are made to accommodate micro-instruments that are used to make the needed repairs to the spine. This method of surgery eliminates the need for large incisions that require stitches or surgical staples and take a long time to heal. 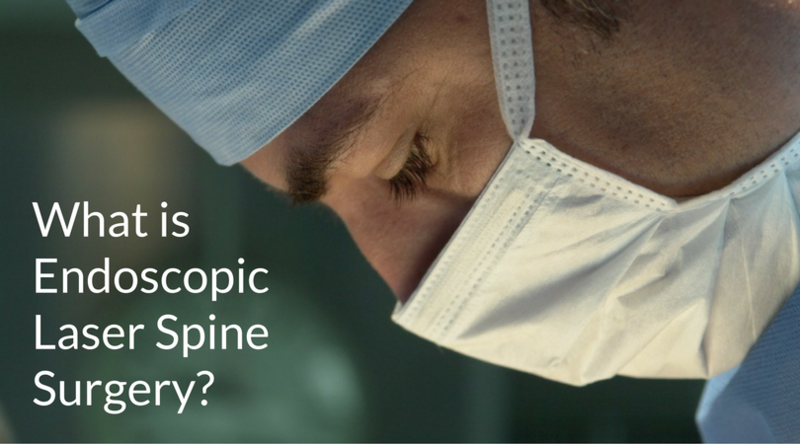 It is common to have questions about the expected recovery time for laser spine surgery. 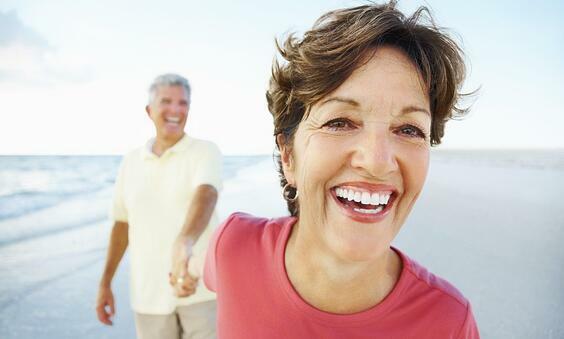 Many patients say that they feel great immediately after laser spine surgery. While you may not feel the pain you had previously, you still need a period of recovery to allow your body to heal properly. It is important to follow your doctor’s instructions during laser spine surgery recovery to avoid reinjury or other complications. Strengthening your core with exercise can prevent injuries that cause lower back pain from occurring. However, did you know that some of these exercises could also help heal and relieve your lower back pain? Having a strong core helps support the weight of your body and helps protect both your neck and back from having to pick up the slack if your core is weak. The muscles that are targeted in core strengthening exercises are located in your abdominal, back, and gluteal areas. Don’t Let the Pain Prevent You From Playing! 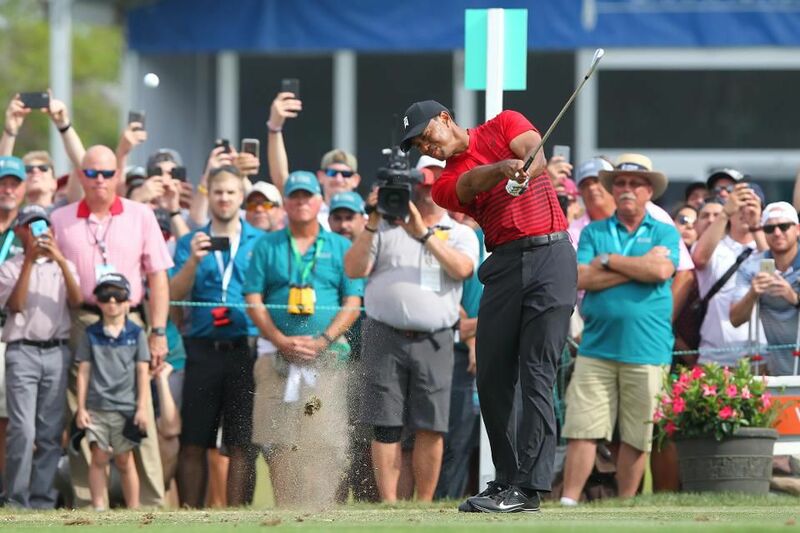 Playing golf can put a lot of strain on your spine. 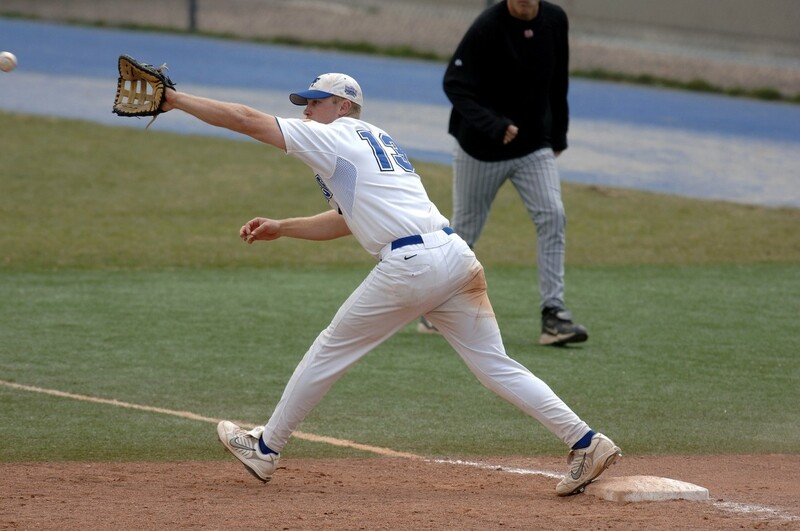 However, if you have an existing back or neck condition, the pain can often become unbearable and prevent you from playing the game you love. This does not have to happen to you. 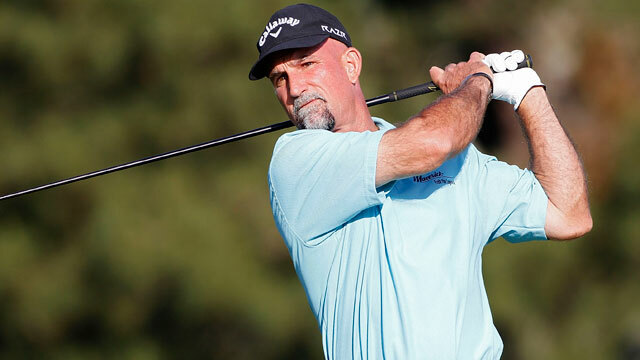 Pro golfer Marco Dawson is living proof that laser spine surgery can stop your pain and allow you to keep playing. Stop the Pain. Begin the Adventure. As a joke, we often refer to someone or something that is annoying as a “pain in the neck.” However, it is no joke if you are really suffering from chronic neck pain. It can prevent you from participating in activities you enjoy and affect your normal daily routine. However, you can stop the pain and perhaps find a new adventure in life just like Ronald, Susan, and Tracy have. Is Back Pain Ruining Your Retirement? You have worked hard all your life. 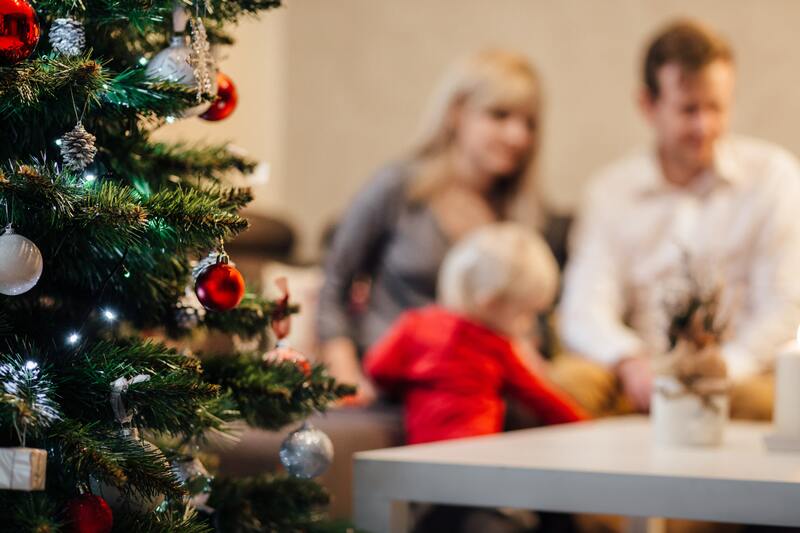 Now that you are retired, you have more time to devote to the activities you enjoy like golf, traveling or just keeping up with your grandkids. 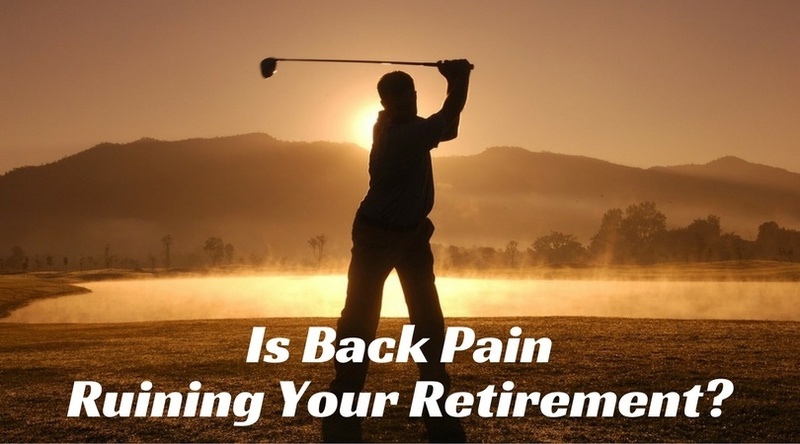 If you are experiencing lower back pain, you might not be enjoying your retirement as much as you had expected. Chronic back pain may hinder your ability to do the things you want to do. 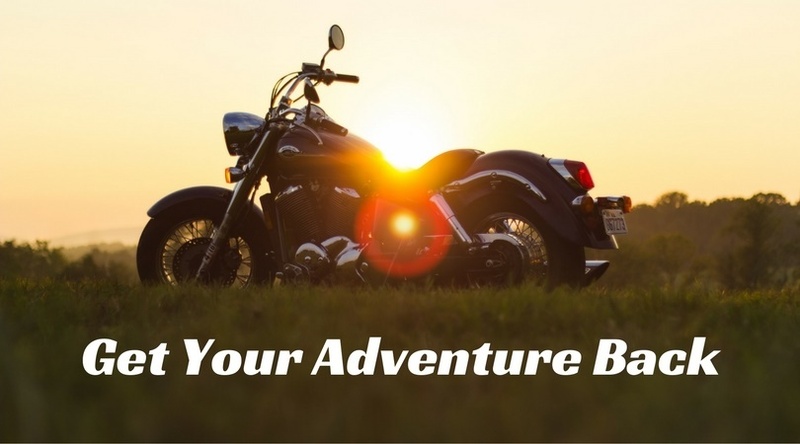 You live life as an adventure. Going through life with chronic neck or back pain can really take a toll on a person. When the pain starts affecting your outlook on life because you are sidelined from the activities you enjoy, it's time to get your life back. You have worked hard all your life and have finally reached the stage where you can relax a bit and enjoy the activities you love to do. 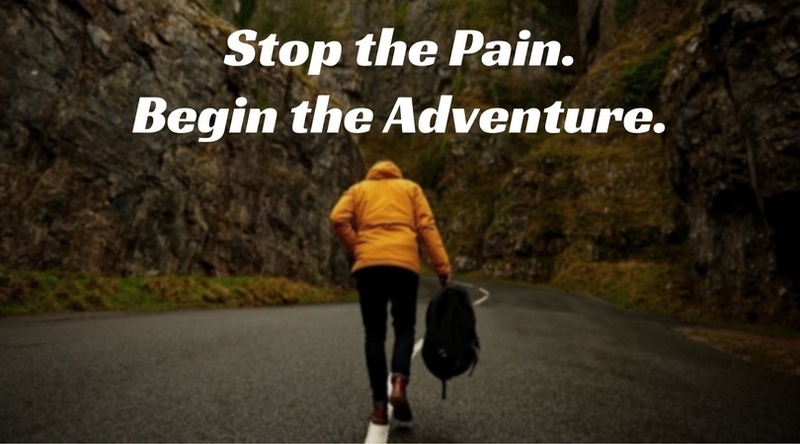 However, if chronic back or neck pain has robbed you of the enjoyment of being able to do those things, it is time to do something about it and get your adventure back. 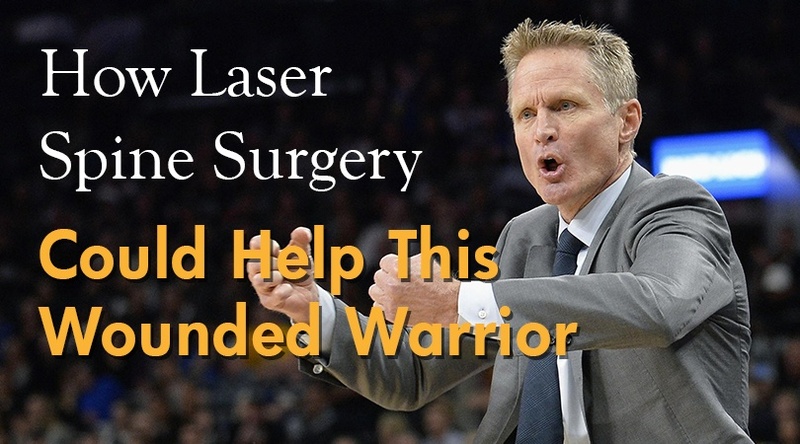 Laser spine surgery can be the answer you are looking for that will allow you to return your normal activities without the risks of going through a major surgical procedure and the lengthy recovery period that goes along with it. 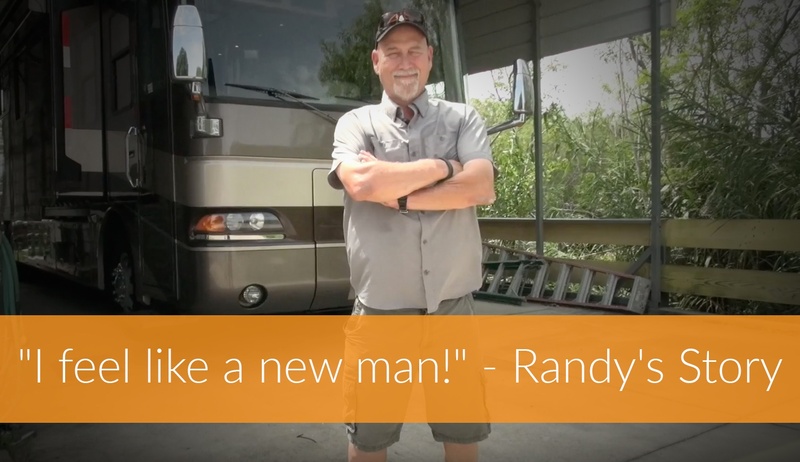 After an accident, Randy suffered from extreme pain. He and his wife loved traveling in their RV, but the constant pain was getting worse and it looked as if they may have to give up their adventurous life. Instead of giving in to the pain, they decided to see if there was any way Randy could return to a healthy life. They reached out to Deuk Spine Institute and now Randy and his wife, have their adventure back! 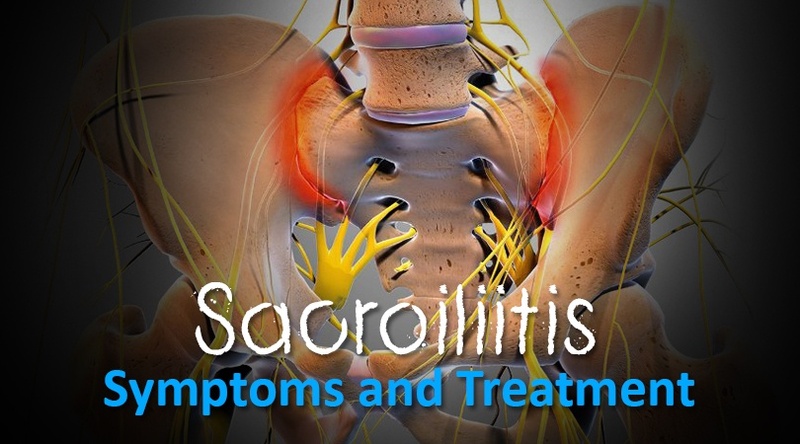 More than half of Americans will experience sciatica in their lifetime. Usually occurring between the ages of 45 and 64, sciatica symptoms are characterized by low back pain that radiates into the legs and feet and is often accompanied by numbness and tingling in the feet and toes. 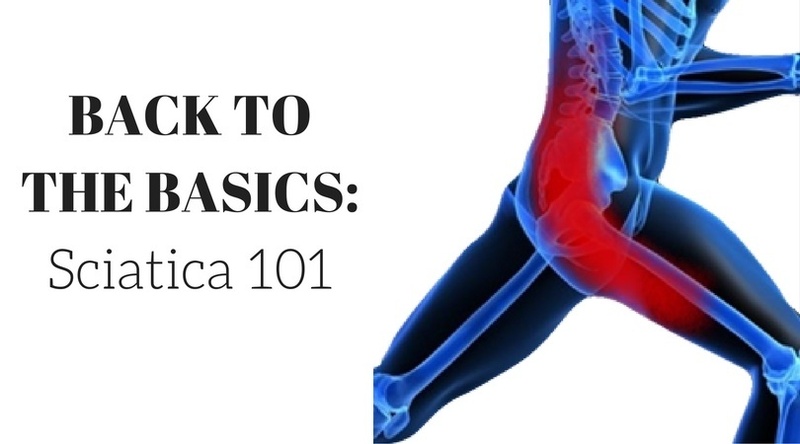 90% of sciatica cases are the result of a herniated disc in the lumbar spine, or lower back, that causes compression of the nerve root resulting in the strange symptoms such as the numb or tingling toes. 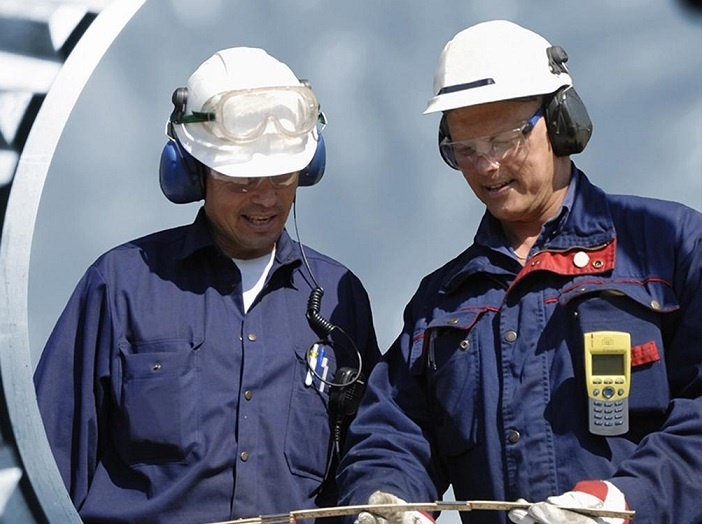 Other risk factors that have been identified include height, mental stress, smoking, and occupational factors such as driving and high physical activity such as bending and twisting. Osteoarthritis is a degenerative joint disease where the cartilage that acts as a cushion to the tops of bones wears down. As a result, swelling and pain occur. 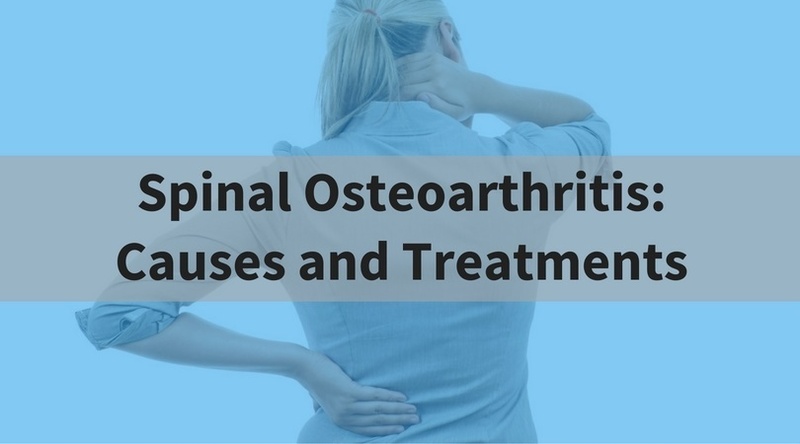 When spinal osteoarthritis develops, the cartilage breaks down in the discs and joints in the neck and lower back. 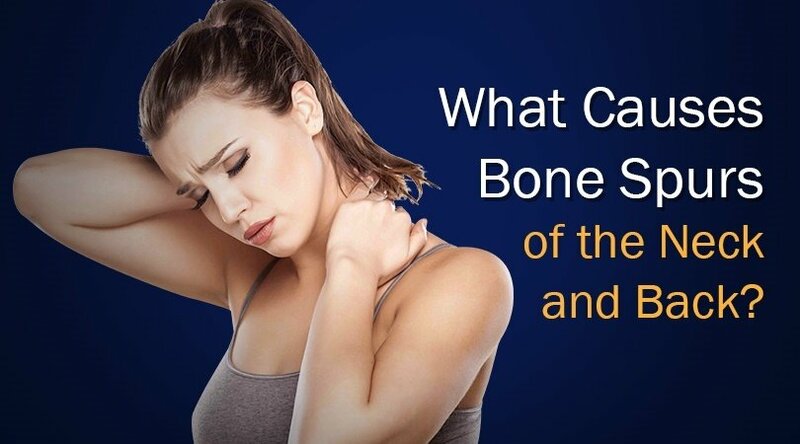 Often, bone spurs may develop that cause additional problems as they press against nerves that lead to the arms or legs from the spinal column, causing pain and weakness. 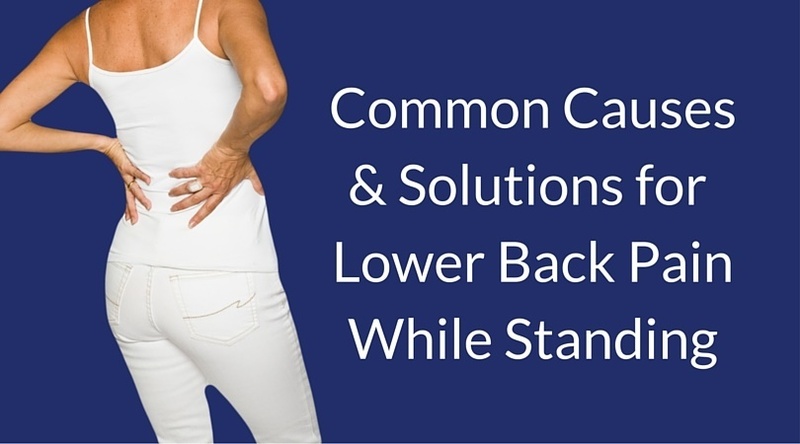 A common symptom of lower back injury or strain is feeling pain when standing. You may be inclined to avoid standing or other physical activity; however, unless your doctor has recommended bed rest, you will want to try to continue some level of activity within reason. Becoming sedentary may work against you in your recovery because it could cause you to lose muscle tone and flexibility, which can make your lower back pain worsen. Arthroscopic Spine Surgery is now available for professional athletes with herniated or bulging discs. 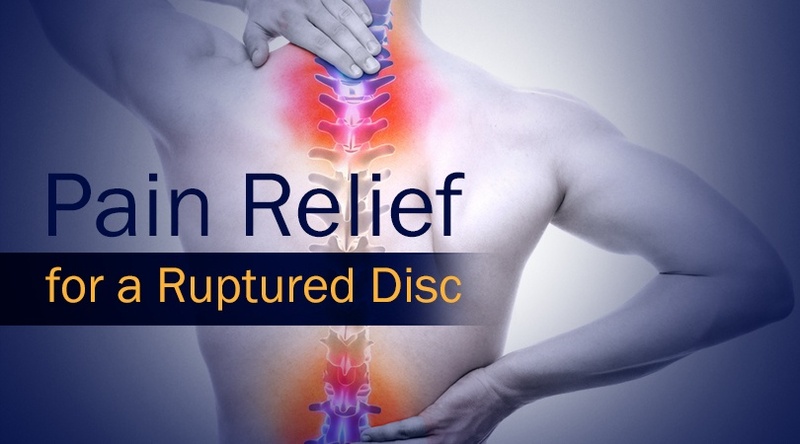 Deuk Laser Disc Repair is a minimally invasive (1/4 inch incision) fully arthroscopic surgery for curing back and neck pain coming from damaged spinal disc(s) or spinal stenosis. 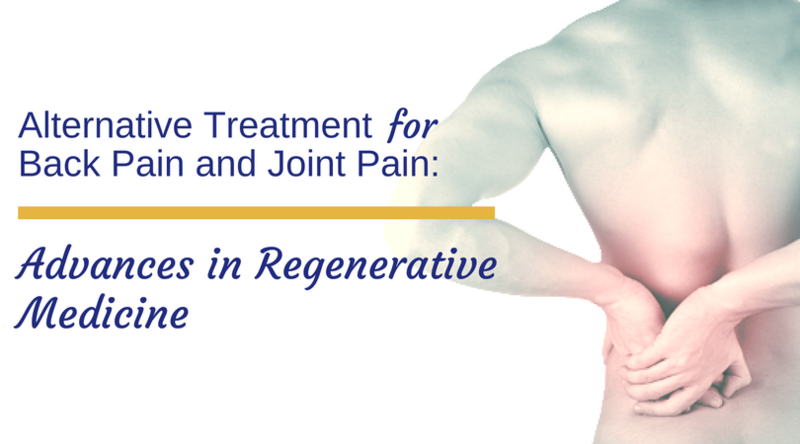 Deuk Laser Disc Repair has a peer reviewed and published average pain relief of 95% with no surgical complications to date. Results are available here. If non-surgical options haven’t provided you with relief from your neck or back pain, your doctor may recommend laser spine surgery as your best option to return to normal function. 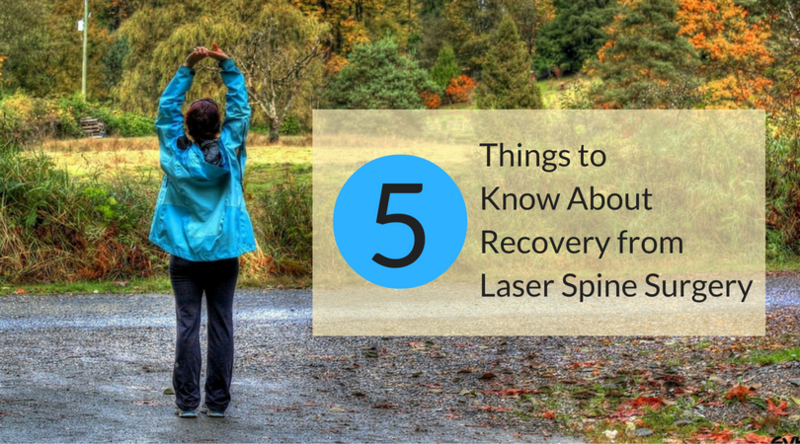 While laser spine surgery is less-invasive than conventional spine surgery, there are still certain preparations that you will need to go through before your surgery. Most importantly, you should discuss your options with your surgeon and ask questions about what you can expect during and after your surgery and what your expected outcome will be. 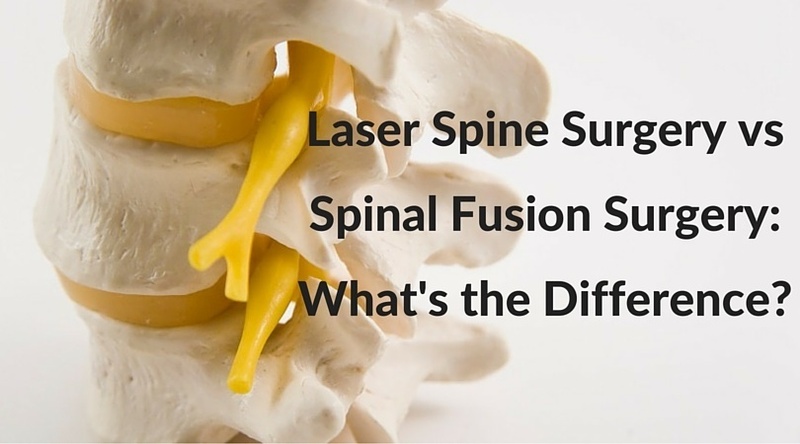 Laser Spine Surgery vs Spinal Fusion Surgery: What's the Difference? It’s unsettling when your doctor has just informed you that you will need open spine fusion surgery to alleviate your back pain and allow you to return to your normal activities. Spinal fusion is considered one of the most invasive of all spine surgeries. It will entail permanently attaching hardware to your spine to stabilize its damaged areas. What you might not be aware of at first is that the same stabilizing results may be achieved through minimally invasive laser spine surgery. 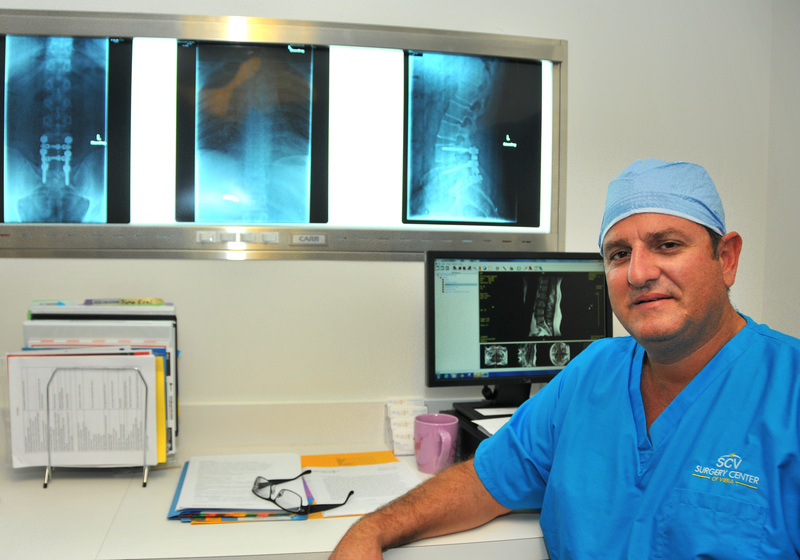 Patients with painful spine conditions may now be candidates for laser spine surgery. Using minimally invasive techniques, surgeons can perform several different types of surgical procedures that allow patients to take advantage of faster recovery times, less pain and reduced blood loss. Pain in the lumbar or lower back area can be caused by numerous reasons that stem from the lumbar spine. Problems with nerves, discs, bones, muscles or tendons in the lumbar area are generally culprits for causing lower back pain or pain that may radiate to other parts of the body. The level of pain can vary greatly from a minor dull ache to a pain that is so excruciating that even the slightest movement will bring you to your knees. 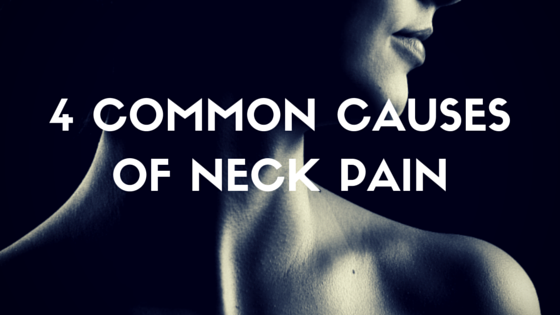 If you suffer from neck pain, you already know how it can be a real pain in the neck. It can interfere with your daily activities. Your neck may feel stiff and you may have difficulties moving it. If you feel tingling, numbness or weakness down your arm or into your hand, it is possible that your nerves are compressed because of swelling or an injury. There are numerous reasons for neck pain; the trick is determining what is causing your pain and finding solutions to relieve your pain. 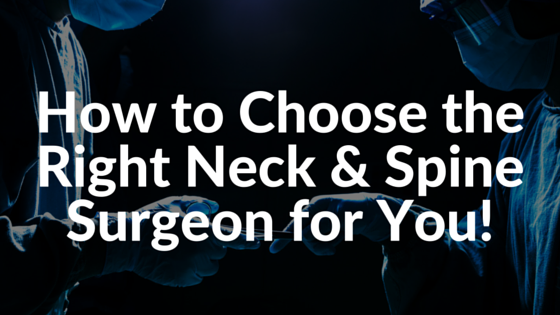 Have you been recommended to look into getting spine surgery for your neck or back pain? Like most patients, it is only natural to be concerned or even a little afraid of having to have surgery on your spine. You may have pursued many different therapies to avoid surgery for as long as you could, but now your only option for relief is surgery. Lower back pain can happen to anyone at any time regardless of age, level of activity or the type of work you do. The biggest risk factor for experiencing back pain is having a previous back injury that causes you to have chronic pain. However, there are certain risk factors that may make you more prone to experiencing this type of pain. 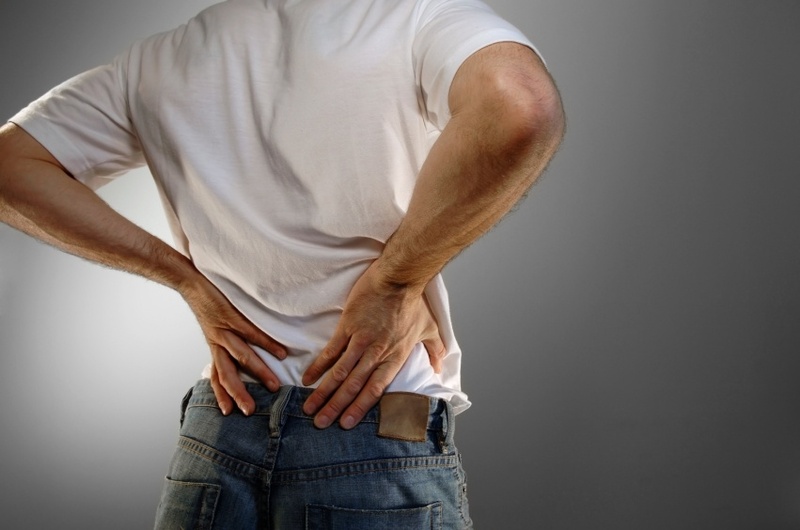 Being aware of these factors could help you avoid some instances of lower back pain. "That's The Bottom Line. He Cured My Neck Pain." 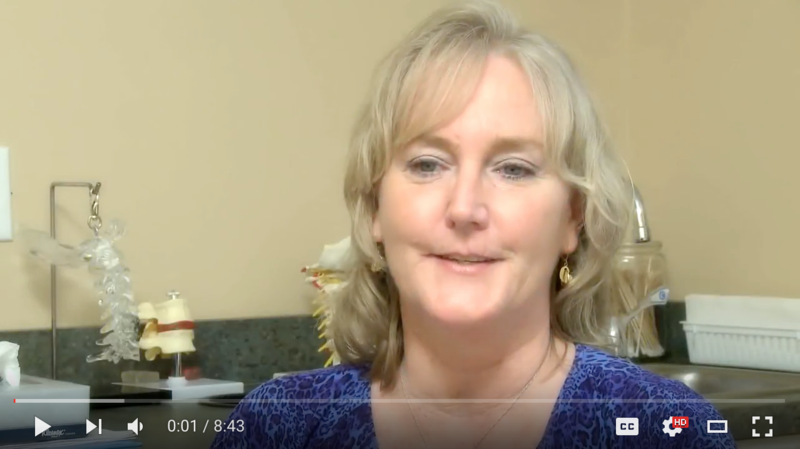 After being in a few car accidents, Tracy suffered from debilitating headaches. She eventually found some relief with the help of a pain management doctor who recommended she get an MRI on her neck. The MRI revealed that she had herniated discs in her neck. The medicine did help with the pain, but Tracy didn't want to depend on medication for relief for the rest of her life. She reached out to Deuk Spine Institute after her friend recommended them to her. Not only is Tracy no longer on pain medication, she is 100% pain free! Check out the video below to see Tracy's story! 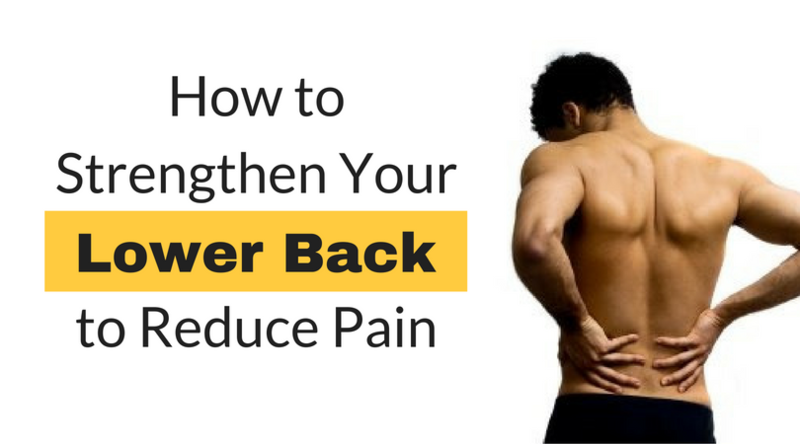 Common Symptoms of Lower Back Pain & What to Do About Them. If you suffer from lower back pain, you are in good company. 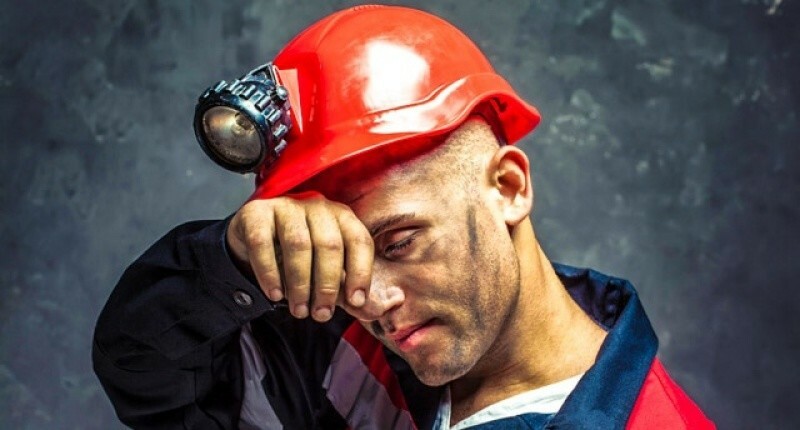 According to the National Institute of Neurological Disorders and Stroke (NIH), 80 percent of adults will experience this type of pain sometime during their lifetime. Lower back pain may range from a constant dull ache to a sudden stabbing sensation that can cause you to drop to the floor in pain and require you to see immediate care for relief. When you first seek care for your back or neck pain, the first doctor you will see is usually your primary physician. Your doctor may then tell you that you require care from a spine surgeon. While you may be limited to spine surgeons within your managed care network, there are some things to look for when you are in the process of choosing the best one to manage your condition. 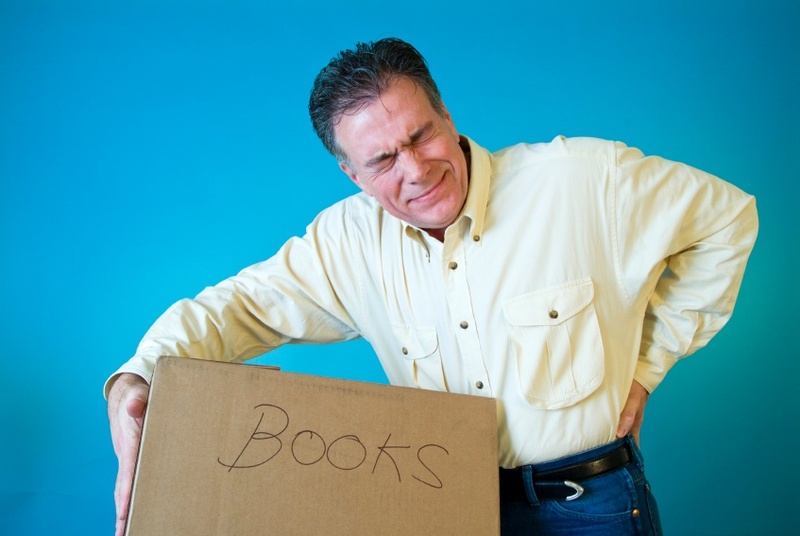 Almost 80 percent of adults regularly suffer from some type of back pain. If you have ever experienced lower back pain, you know how it can have a negative impact on your life. You may be fearful to participate in physical activities because you are afraid of making the pain worse or injuring yourself more. Lack of activity may actually worsen your pain and affect your overall well-being. 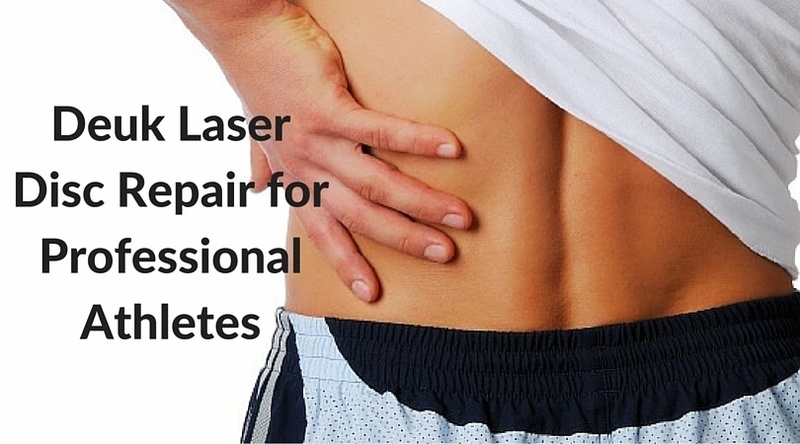 Lasers have been a trendy marketing tool in the spine industry for years and this “cutting-edge” technology has been used by many institutes to reel in unsuspecting patients with neck and back pain. Although they use the word laser in the name of their company or procedure, a laser is rarely used in the actual procedure itself. These institutes and practices are only confusing the patient and ultimately hurting the facilities that, in fact, employ a laser to repair herniated discs. 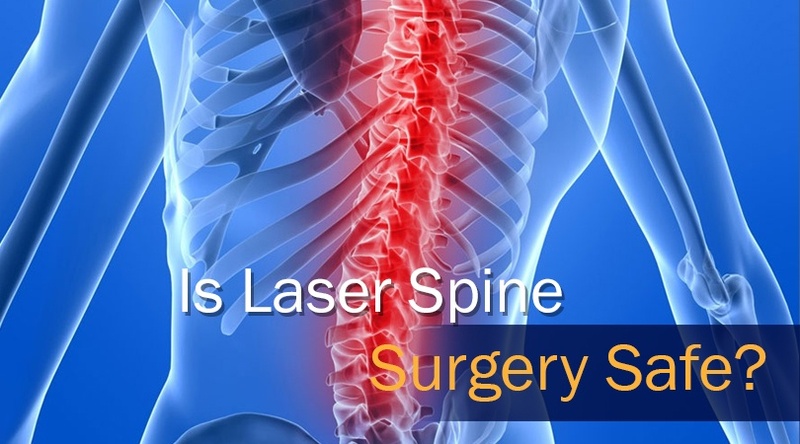 Particularly in the spine industry, the best minimally invasive surgical techniques are used in conjunction with a laser. Is it the laser, the surgeon or the minimally invasive technique that actually benefits the patient? The answer is Yes, Yes and Yes or all three. Buddy Hield intercepts the ball from the left just as Jackson infringes on his right. He pivots to cut the blocker from interrupting his drive to the basket. First to the left, then to the right; he ducks, and plunges down the court only seconds away from another victory. 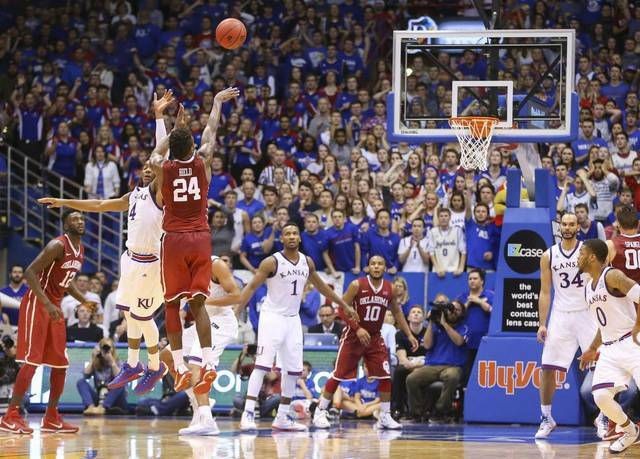 With 3 seconds remaining on the clock, he braces himself for the vital shot. He jumps, shoots, and hears the tranquil “swoosh” as the ball falls through the basket. As his feet land hard on the court surface the force of his descent sends a shock through his body. His lower limbs and spine bear the burden of the descending weight increased by the gravity from his jump. The impact is only minimally reduced by the Dr. Scholl’s shock absorbing inserts Coach prompted the team to employ this season. This constant twisting, extending, and leaping in addition to routine weight training and limited recovery time is gradually setting Buddy up for an injury to the discs within his spine. Why are insurance companies making treatment decisions? Recently the Florida Medical Association (FMA) president, Ralph Nobo, M.D. addressed one of the biggest issues facing Florida physicians today: Insurance companies. Physicians are constantly asking themselves if a patient’s insurance company will let the patient have the care that is best for them and ultimately pursue the course of action laid out by the physician. Insurance companies are focused more on reducing their own costs than improving care. As a direct result, they are creating barriers to quality care and much higher out-of-pocket costs for patients. 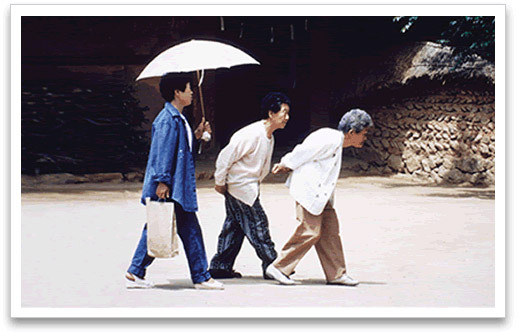 I am sure you have seen it before…at the grocery store an elderly woman hunched over her shopping cart? Have you ever wondered what causes this? Is it old age? Is it a congenital problem? Is it caused by an injury? Does Cold Weather Increase Your Back and Leg Pain? As the weather gets colder, you may start to notice a common ache in your neck, lower back or perhaps another part of your spine. 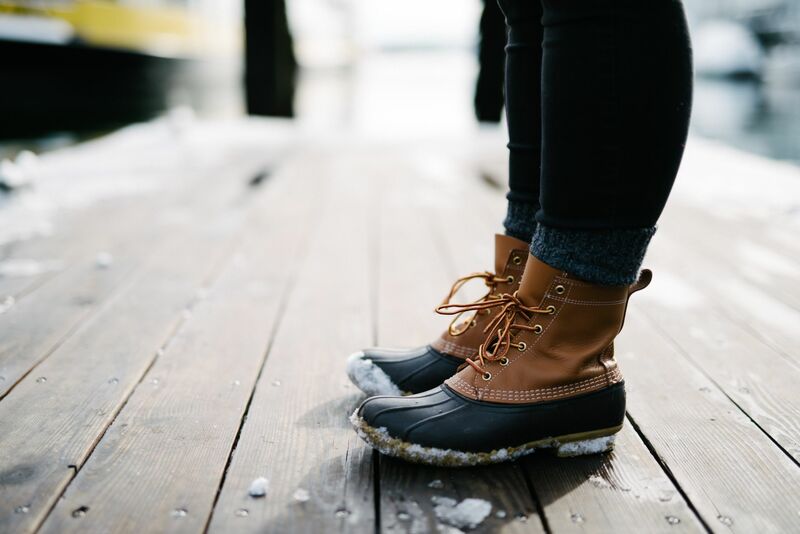 Pain from previous injuries may even reoccur as the temperatures drop, leaving patients to wonder if they will suffer from pain all winter long. Understanding the correlation between cold weather and the discomfort in your back muscles and joints is important to help alleviate your pain. When a world of information is available at your fingertips, it can be hard to pick your head up and away from your smart phone. What if I told you looking down at a cell phone is the equivalent of placing a 60-pound weight on your spine? According to new calculations, published in the journal Surgical Technology International, sixty pounds is about the equivalent weight of four bowling balls or an 8 year-old child sitting on your neck. 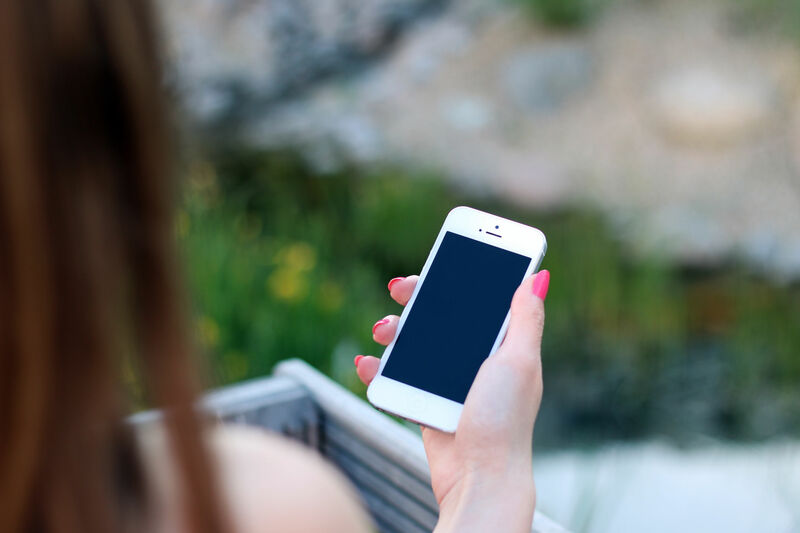 You may not realize it, but the amount of time spent looking down at your phone can result in damage to your body and overall health. 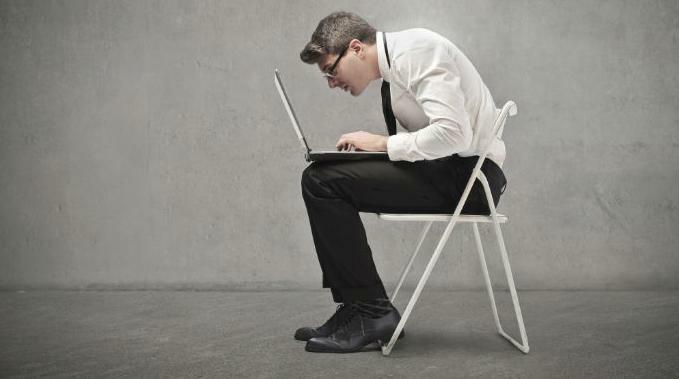 Research suggests that spinal pressure actually doubles with each inch you bend your head down. Your spine protects your nervous system, which controls and coordinates all the different functions of your body. Any misalignment of the spine can create disruption in nerve communication to your organs and tissues, causing abnormal effects that could linger for years. One of the many benefits of patients having surgeries and procedures done in an ASC (Ambulatory Surgical Center) is the low (and sometimes non-existent) infection rate. According to the most recent report by the US Centers for Disease Control and Prevention (CDC), hospital-acquired infections now affect 1 in 25 patients. Anterior Lumbar Interbody Fusion (ALIF) is a major spinal fusion surgery performed through the patient’s abdominal cavity. The surgery is performed using large metal instruments with tremendous force in close proximity to major blood vessels, nerves, bladder and intestines. The surgeon must remove the diseased spinal disc and implant a metal cage into the spine which is located deep in the abdominal cavity where it is dark and often difficult to see. Injuries to blood vessels, bowel obstruction from abdominal scarring and nerve injuries are serious and frequently unanticipated complications of the surgery. 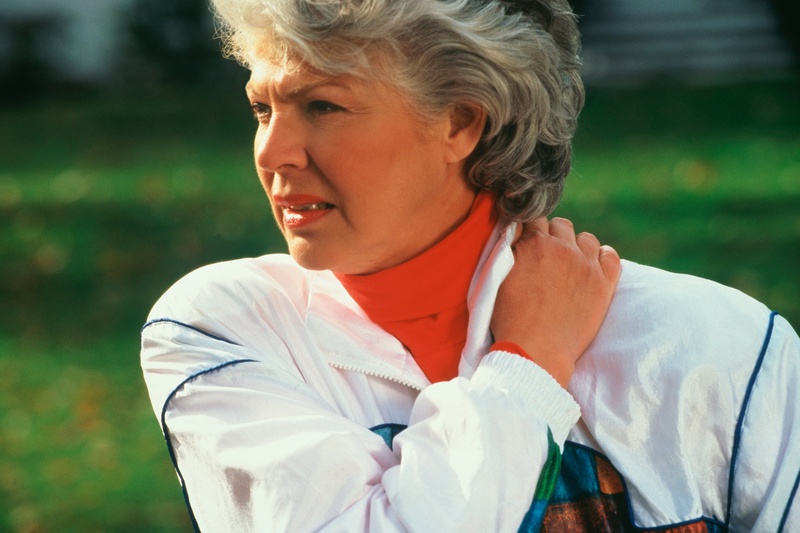 Frozen shoulder, also known as adhesive capsulitis, is a disorder in which the shoulder capsule (or the envelope) and the surrounding tissues, becomes inflamed and stiff, causing restriction of motion and chronic pain. 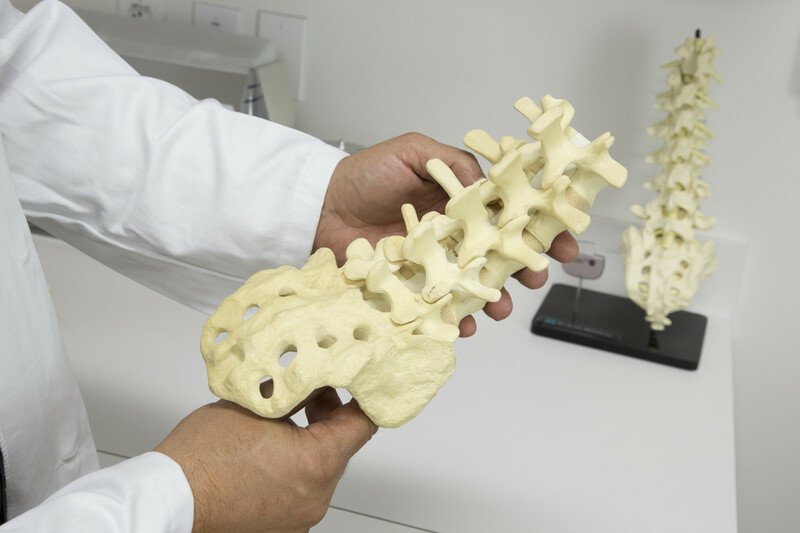 The world of spine care is vast and complex, leading patients down many different paths, each dependent on a mixture of the physician and patient’s preferences. Because of how varied this landscape is, we run into patients who tell us horror stories of past experiences at other spine clinics all the time. From failed back surgeries leaving them in more pain than when they started to being depressed and seeking hope because a physician runs out of answers, patients shoulder quite a load mentally, emotionally and physically. We want to ease that load. We want to be your beacon of hope that says life can and will get better. Almost all of us know what it’s like to be conflicted with back pain or neck pain, and too many of us know what it is like to be afflicted by that pain on a day-to-day basis. Sure, you could learn to live with it. You could make sacrifices in your activities to lessen the occurrence of those painful twists and excruciating bends. In the wake of your pain lies your quality of life, a glimpse of the activities you used to love and the faces of those who long for the person you used to be. Piriformis Syndrome: Is it Lower Back Pain or a Pain in the Buttocks? 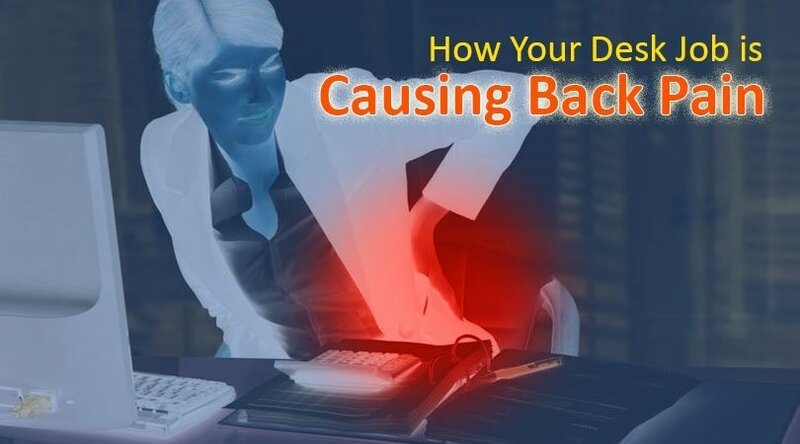 A back strain is a common occurrence and can cause excruciating back pain. In fact, strains in the muscles of the back are often mistaken for worse conditions and have even led some to the emergency room. Herniated discs or other structural conditions in the spine as a result of trauma or injury are also common and in many cases require surgical intervention such as back surgery. Almost 15,000 deaths occurred in the US in 2008 due to prescription painkiller overdose. Half a million ER visits in 2009 were a result of prescription painkiller misuse. 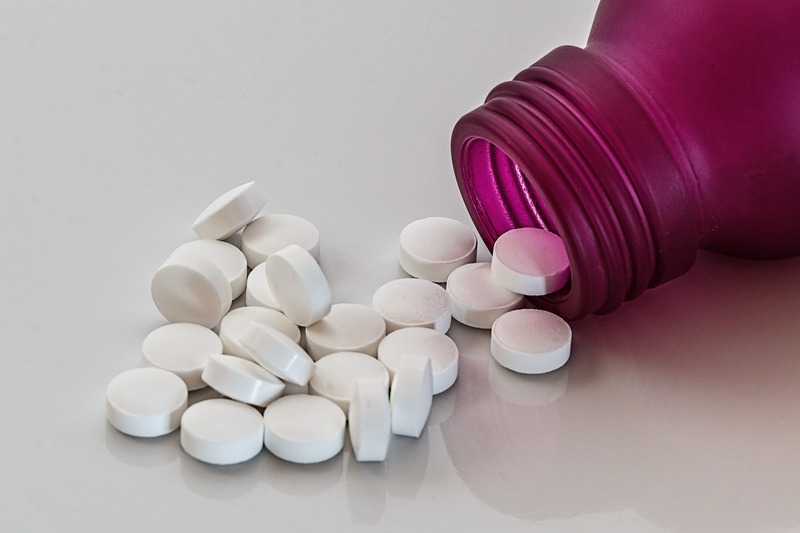 Almost 12 million Americans admitted to non-medical use of painkillers in 2010. 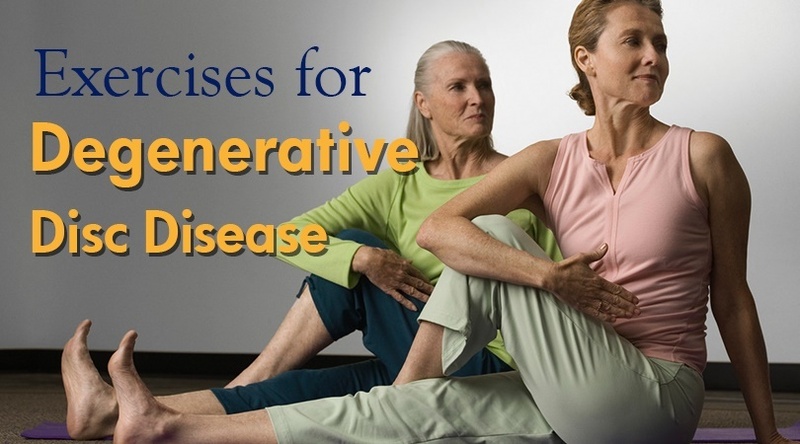 Normal Aches of Aging or Degenerative Disc Disease? 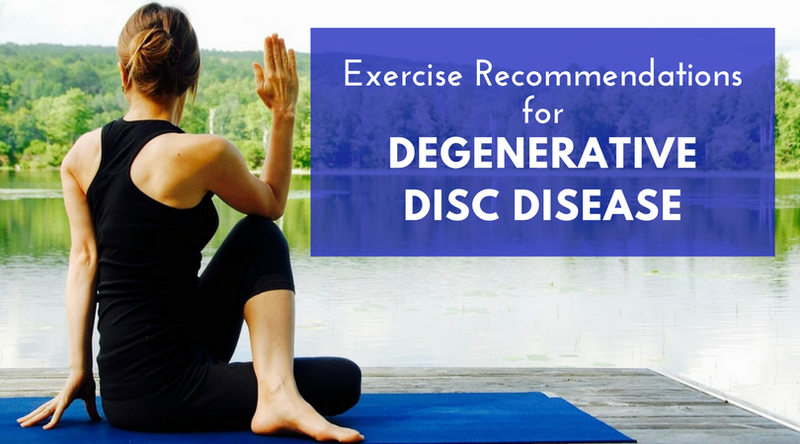 When you hear the term “degenerative disc disease,” your mind may immediately dive into thoughts of a progressive, crippling condition. Does that mean limiting activity for the rest of your life? It's not encrypted and it's not Top Secret, but it is code. CRIS: The code for success of Deuk Laser Disc Repair. It creaks in the night. It stops you dead in your tracks. You don’t want to leave home if you think it may be out there. It can take you by surprise or you may know that it is waiting for your next strenuous move. Your fear of recurring back or neck pain has left you a recluse, shut away, unable to live your life. Am I Too Old for Back Surgery? As we age, our bodies recover from injury more slowly. Surgery is no exception. For those who suffer with debilitating daily back and leg pain, surgery may be the only solution in cases when therapy or injections fail to provide adequate relief. 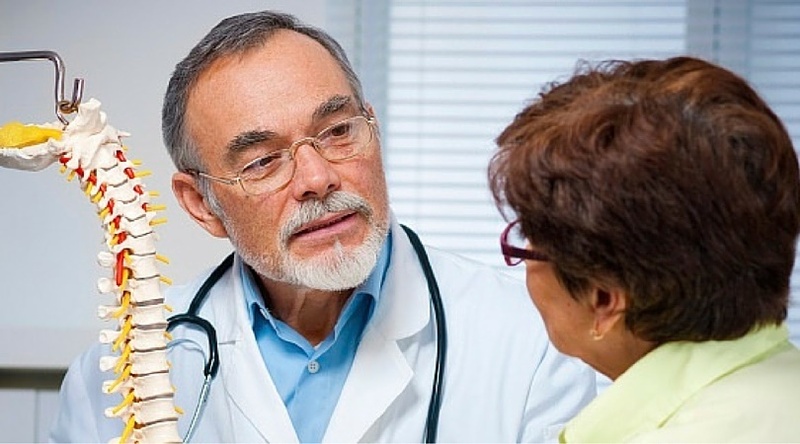 So is spine surgery safe in persons over 60? 70? or even 80 years old? The answer is “yes” but it depends on how the surgery is done and how medically “fit” the patient is prior to surgery.